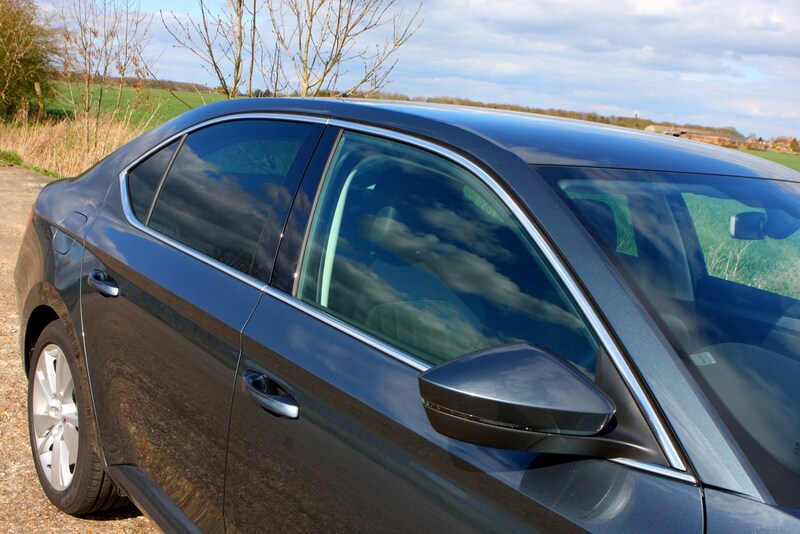 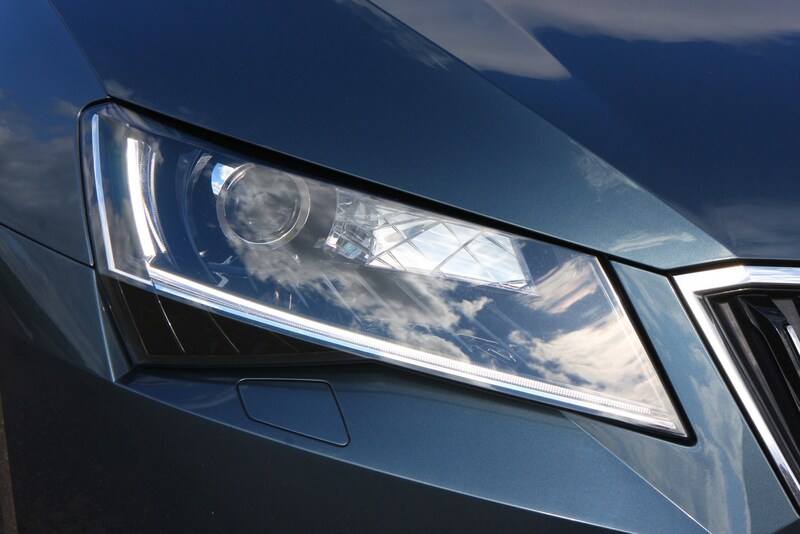 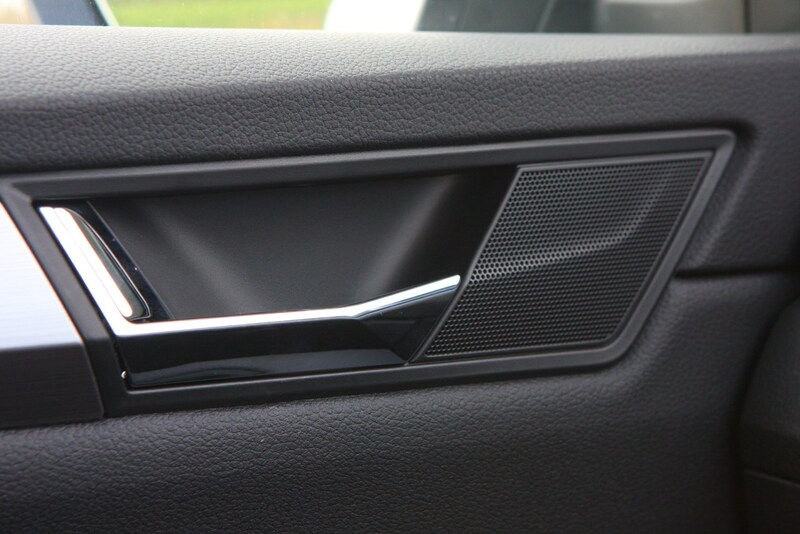 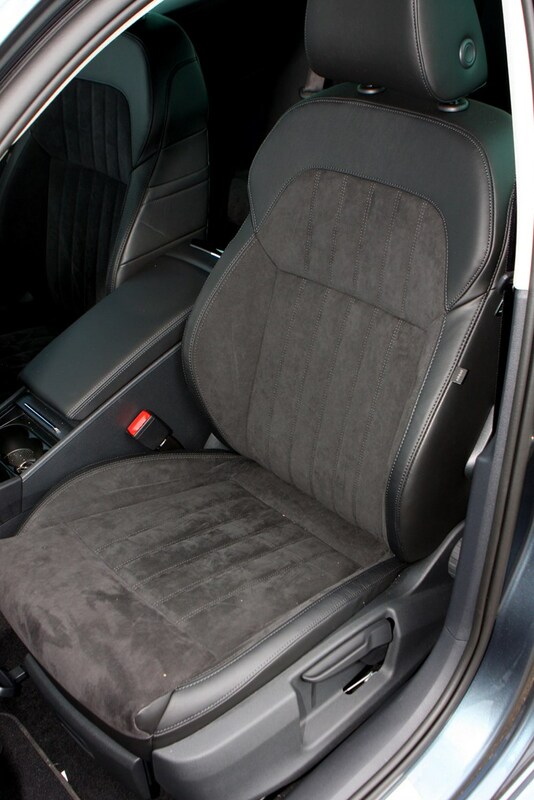 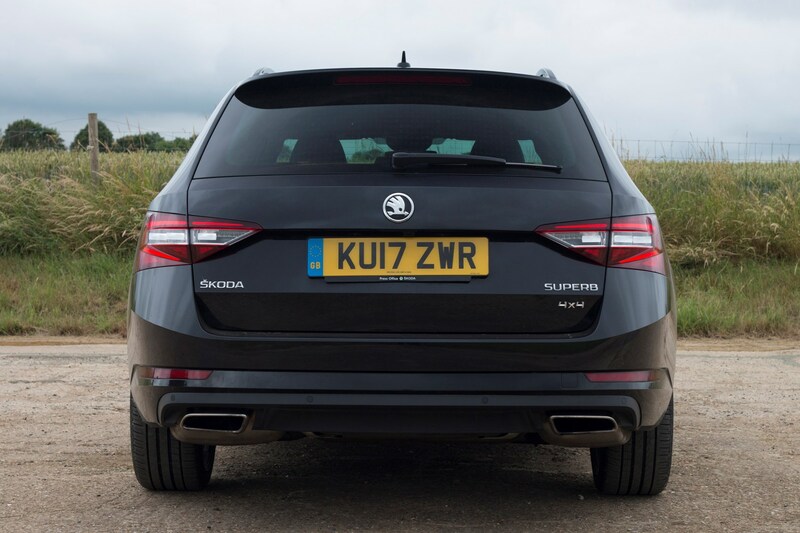 These elegantly chiselled lines, enveloping a commodious interior belong to the second generation Skoda Superb Estate, which joined its hatchback sibling. 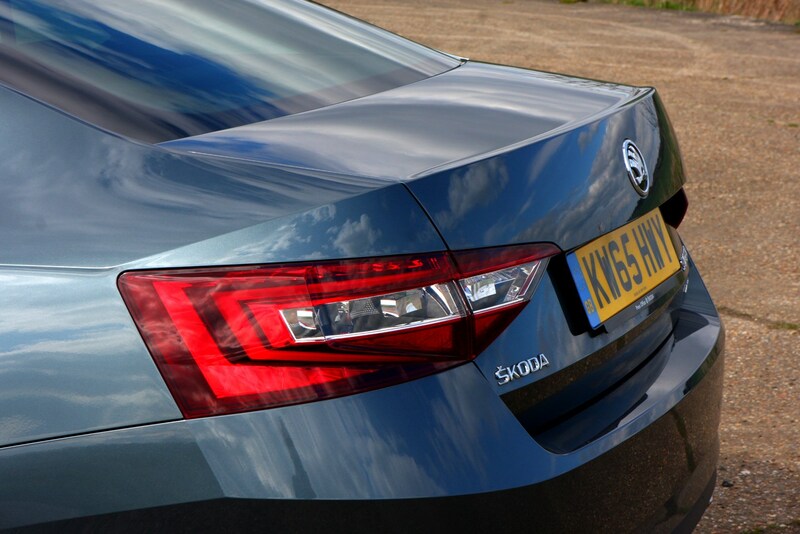 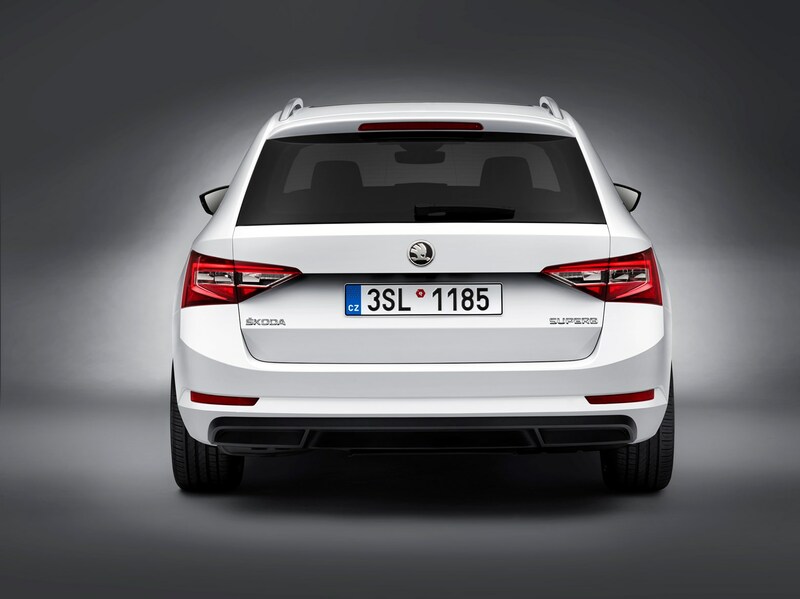 Given it's so big, Skoda has done a great job of disguising that bulk, making it look both elegant and understated. 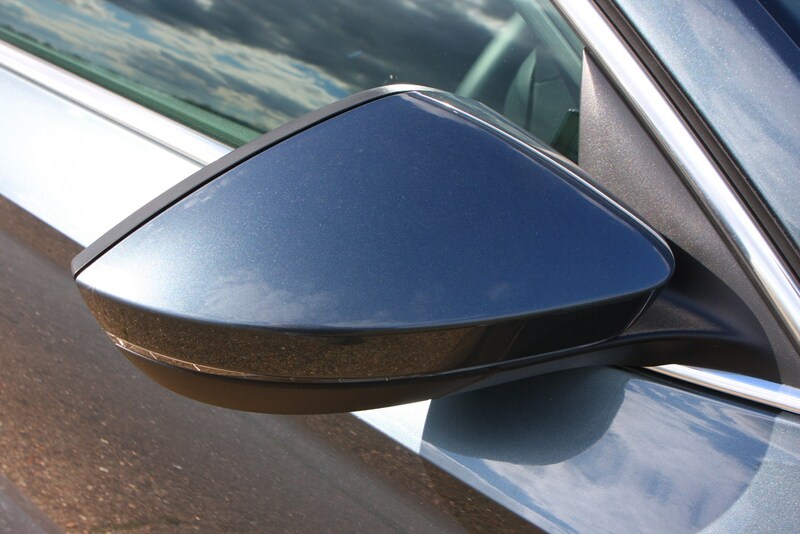 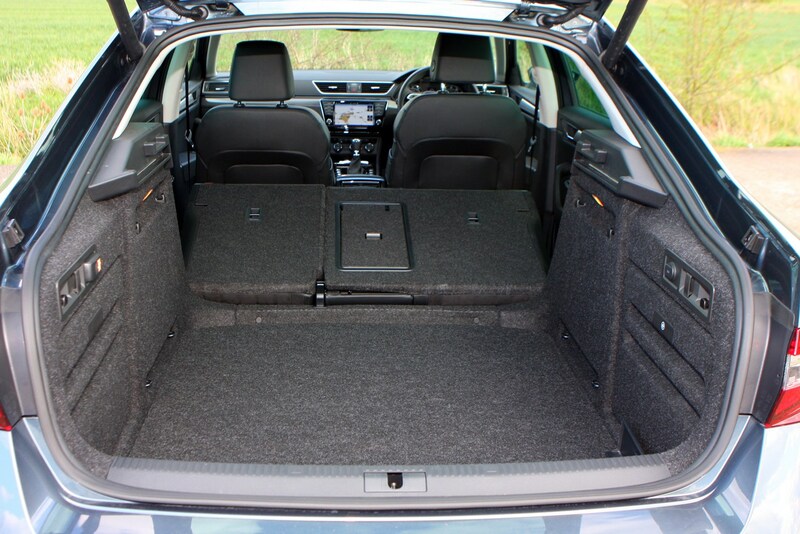 Its enormity ensures it can be regarded as a legitimate rival for the likes of the Audi A6 Avant, Mercedes-Benz E-Class Estate and Volvo V60 in terms of carrying capacity, while still competing against the Vauxhall Insignia Sports Tourer, Ford Mondeo Estate and Volkswagen Passat Estate on price. 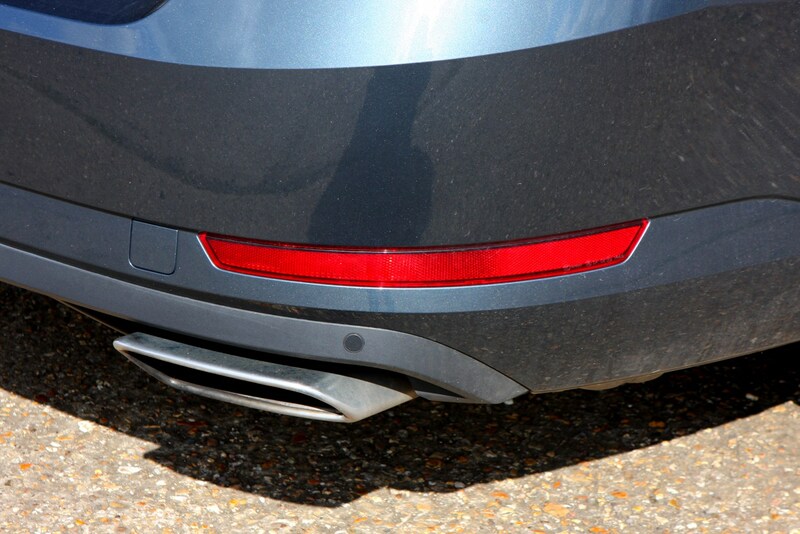 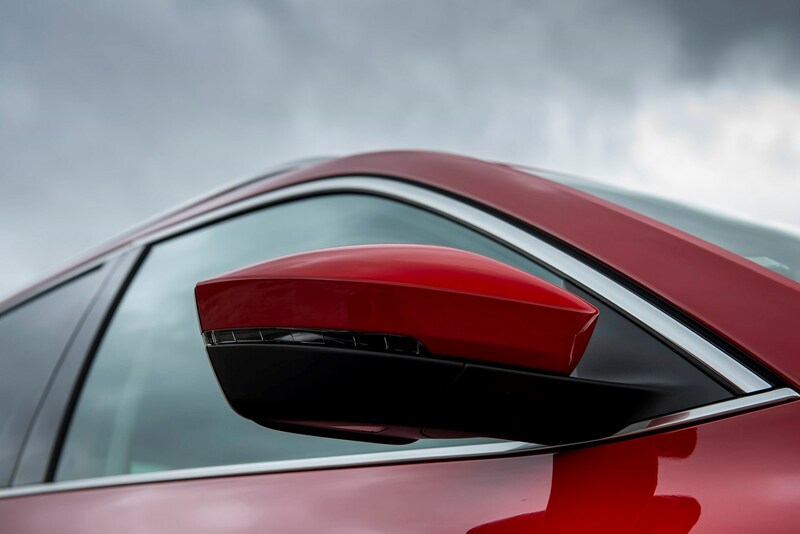 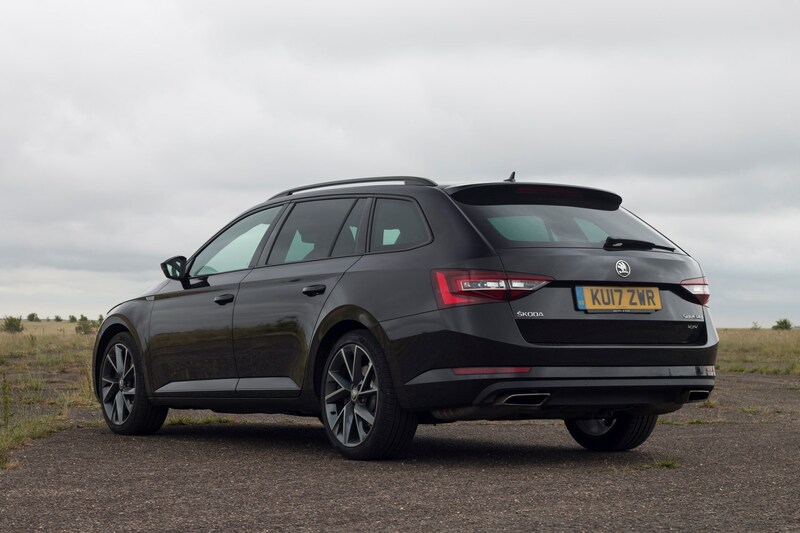 Transforming the Superb hatchback’s rakish fastback profile into a more cargo-friendly estate body has involved both lengthening and widening the dimensions over the outgoing model. 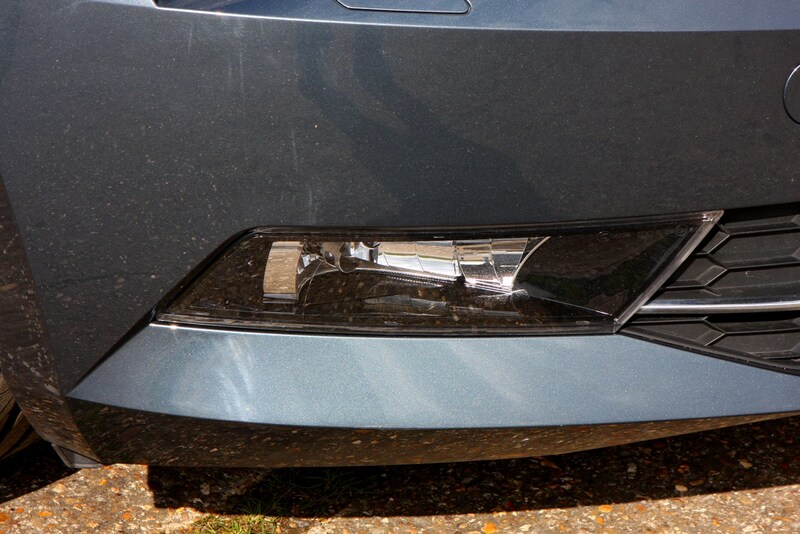 It's been a very successful transformation. 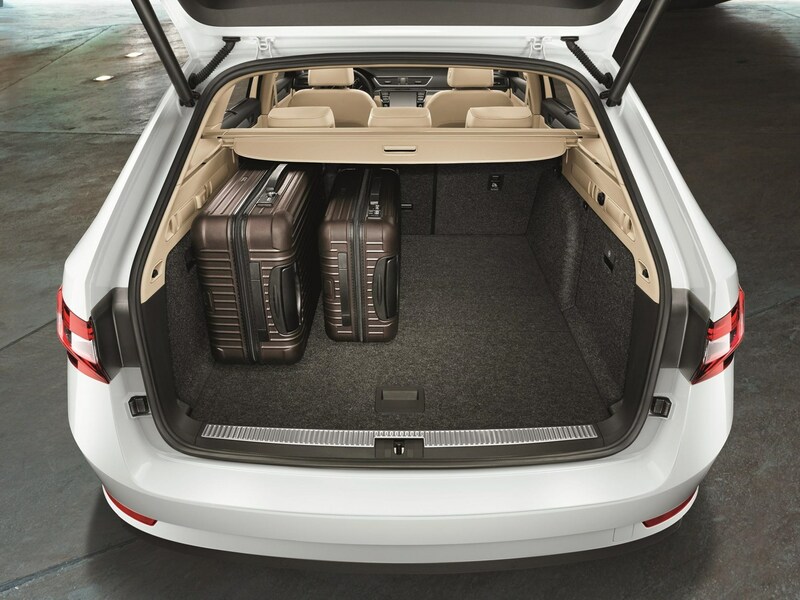 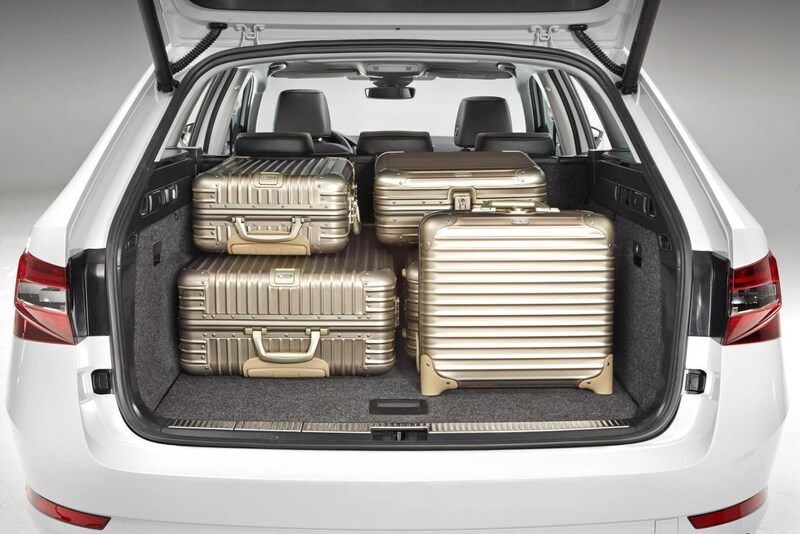 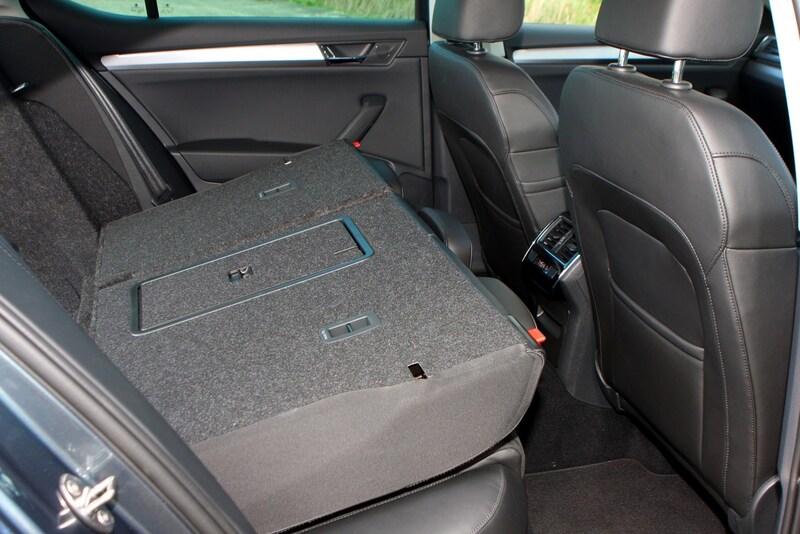 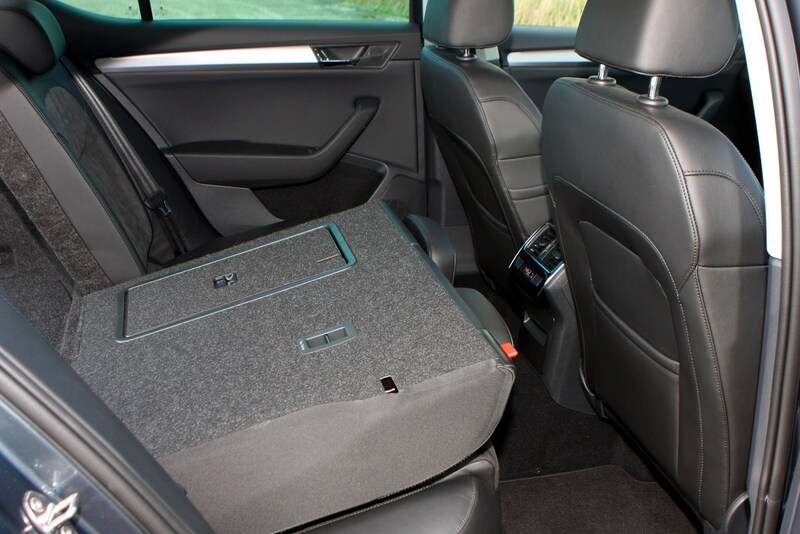 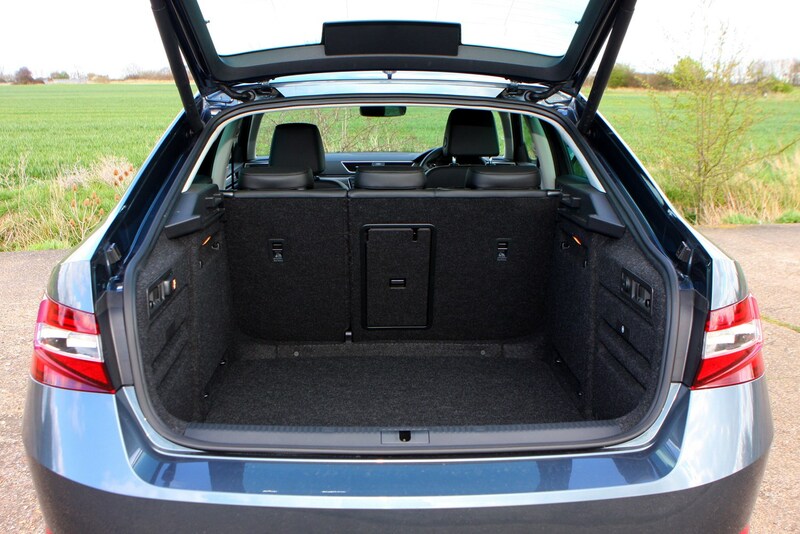 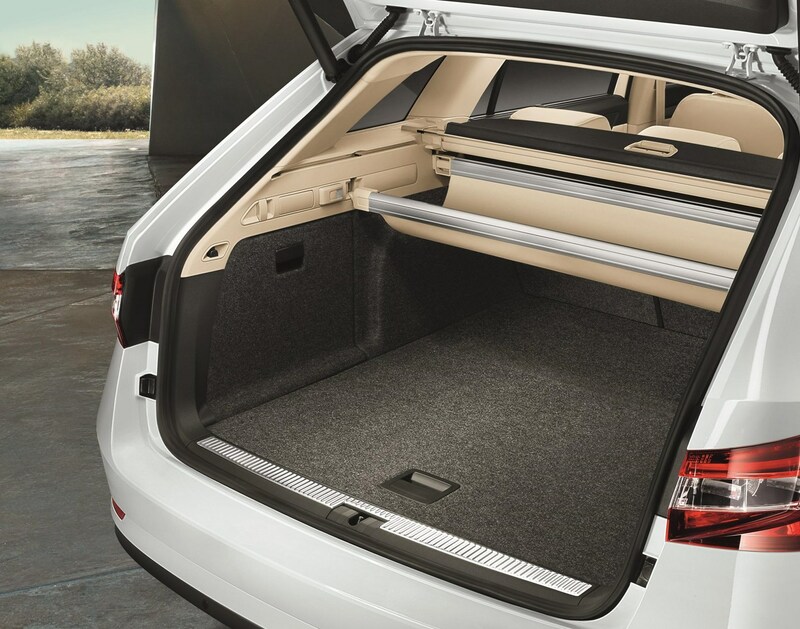 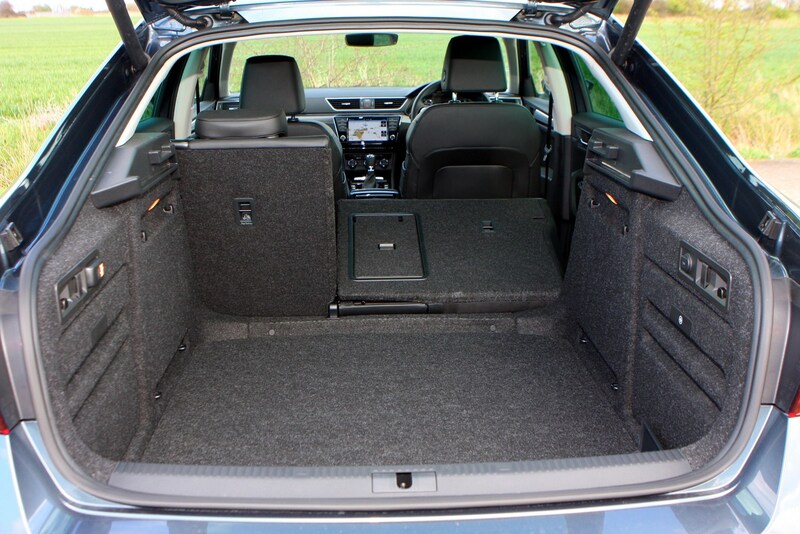 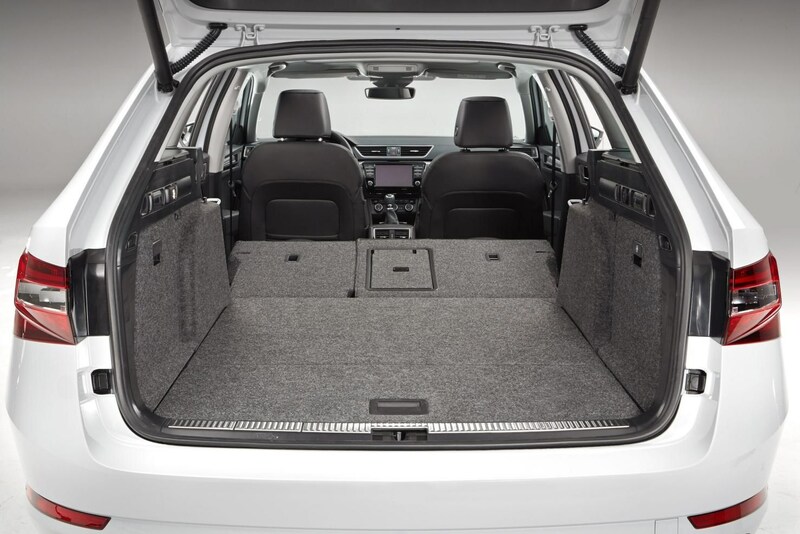 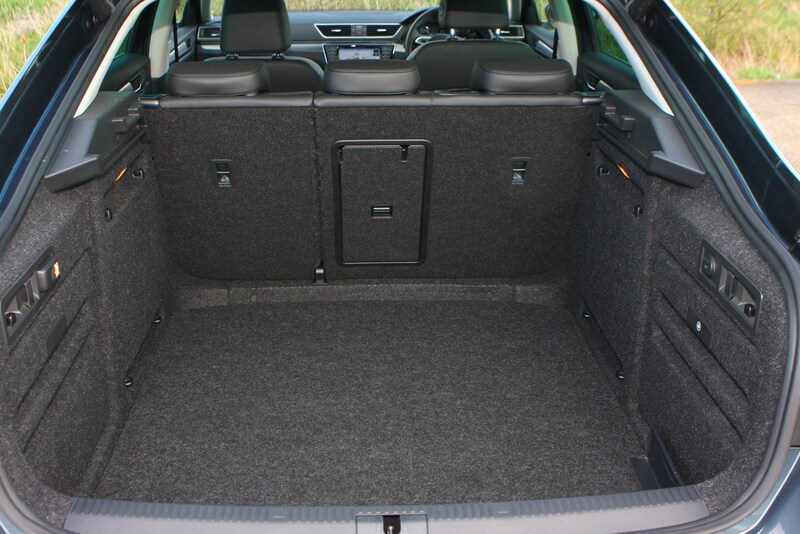 Rear seats up, the Skoda Superb estate will swallow 660 litres of luggage, shopping and whatever else you need to transport – an increase of 27 litres over the previous generation. 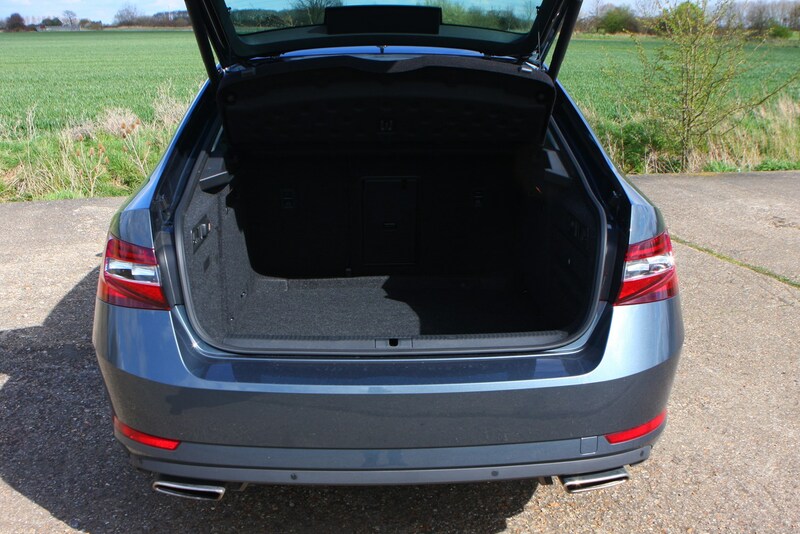 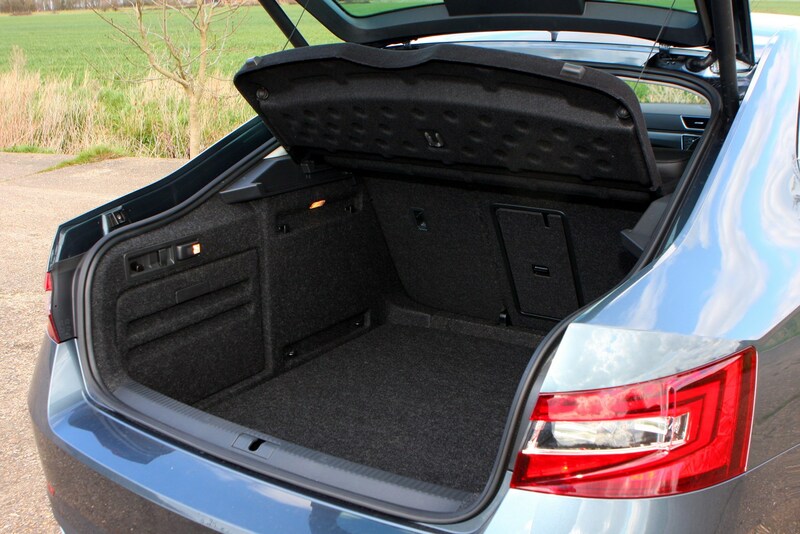 Fold the rear seats over and that increases to a maximum of 1,950 litres, although you’ll want to invest in the variable-height boot floor option to have a flatter load bed. 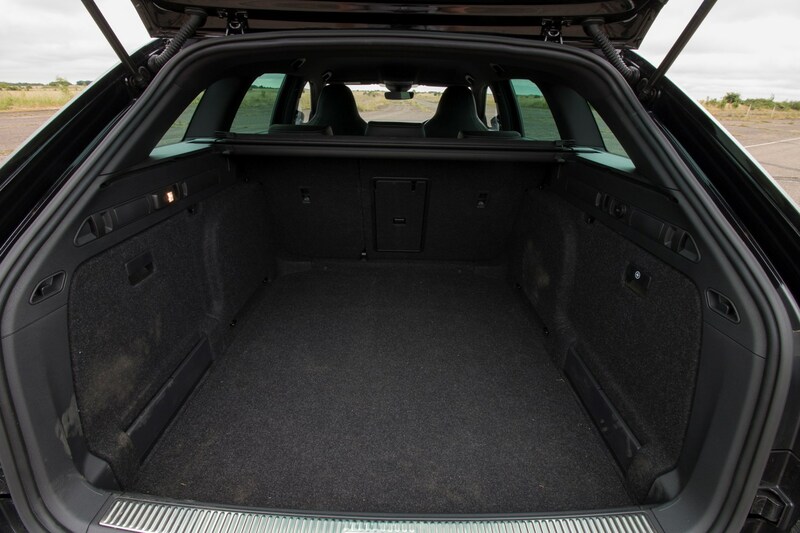 Not only is this the roomiest rear in the segment, it’s 85 litres more than the model it replaces too. 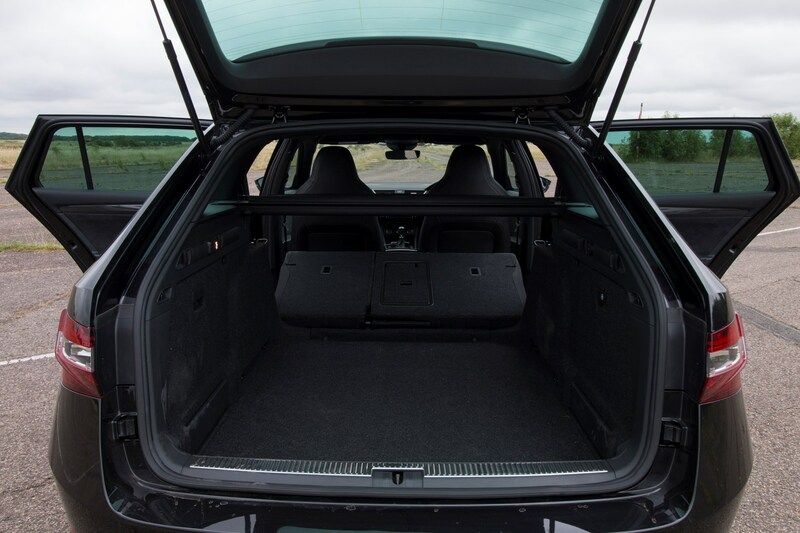 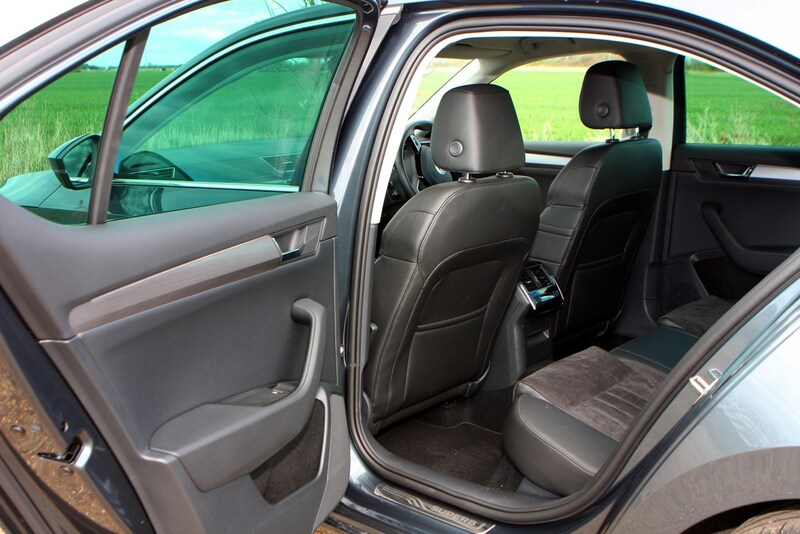 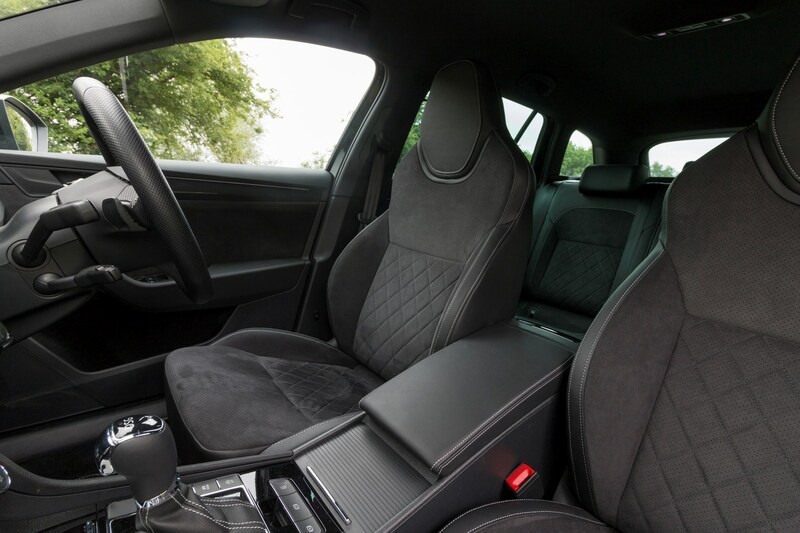 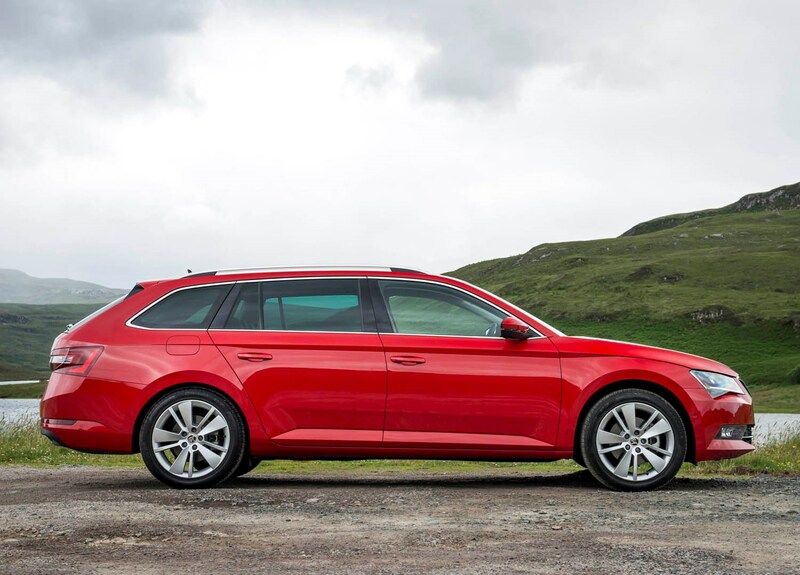 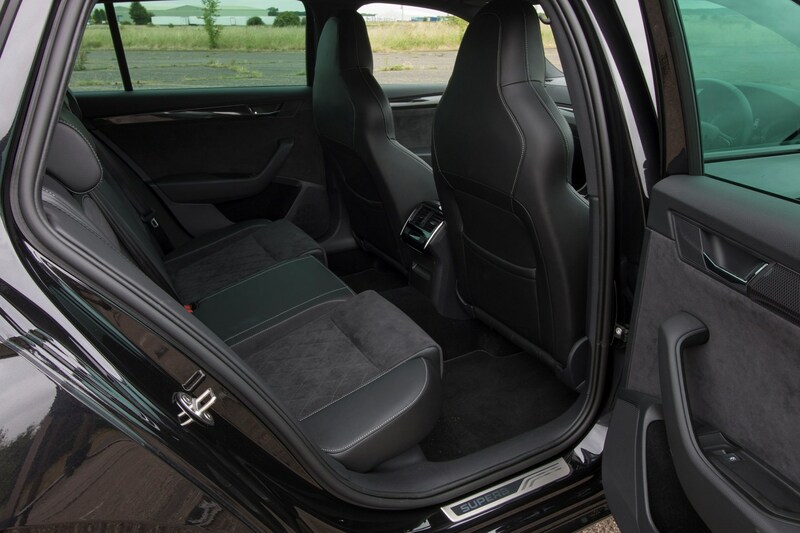 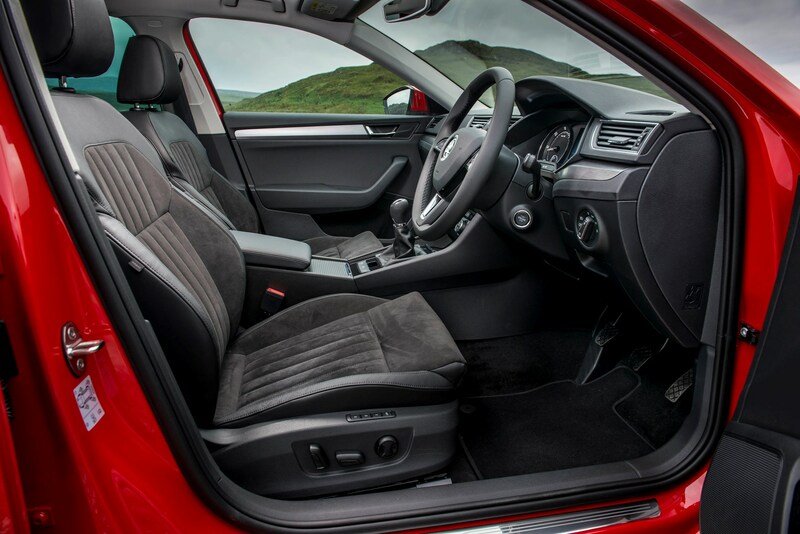 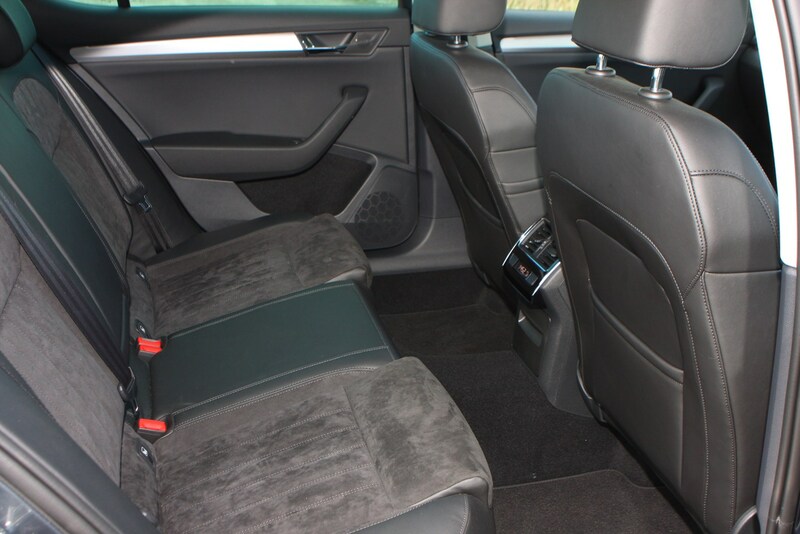 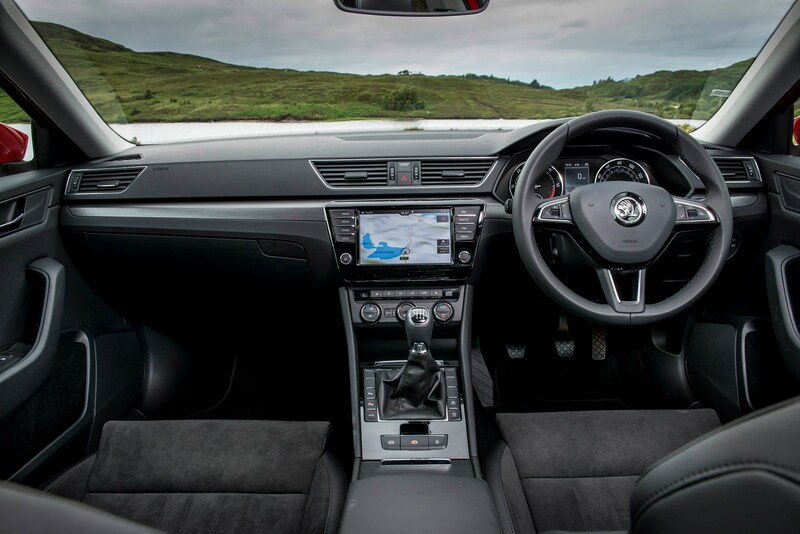 As with the hatchback, the rest of the Superb estate’s cabin is roomier than the already spacious predecessor and feels even more upmarket with a classy interior fabricated from high quality plastics. 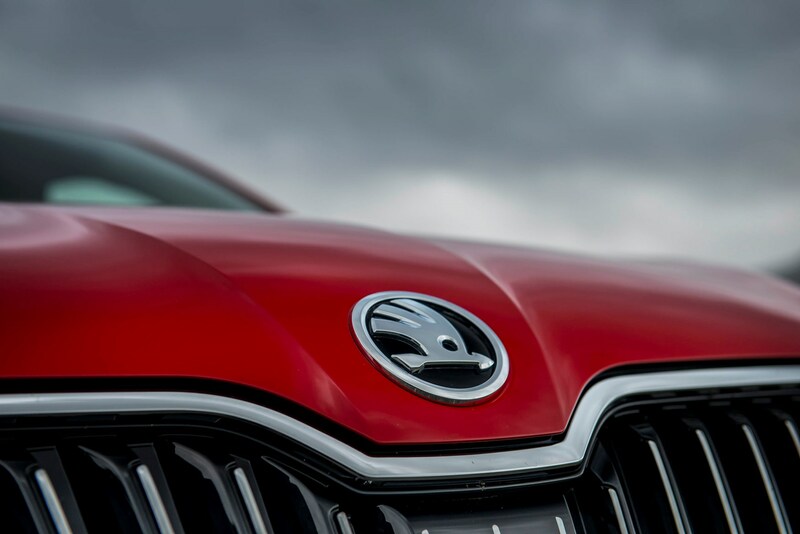 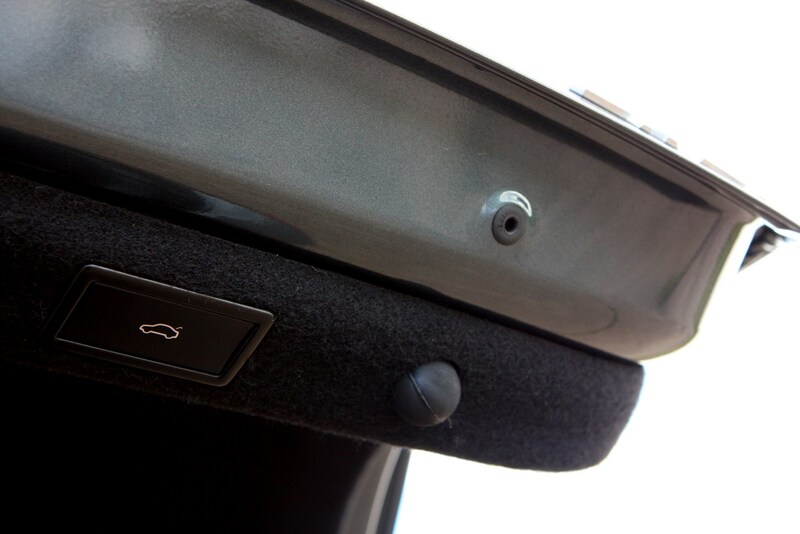 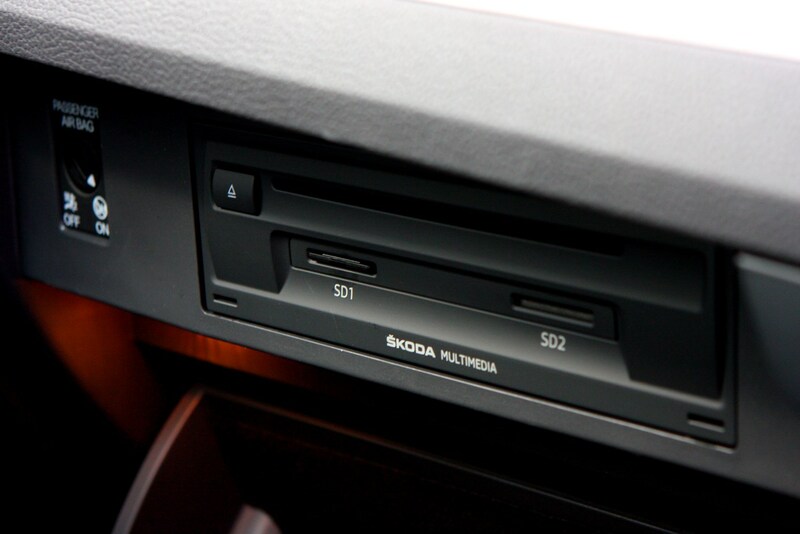 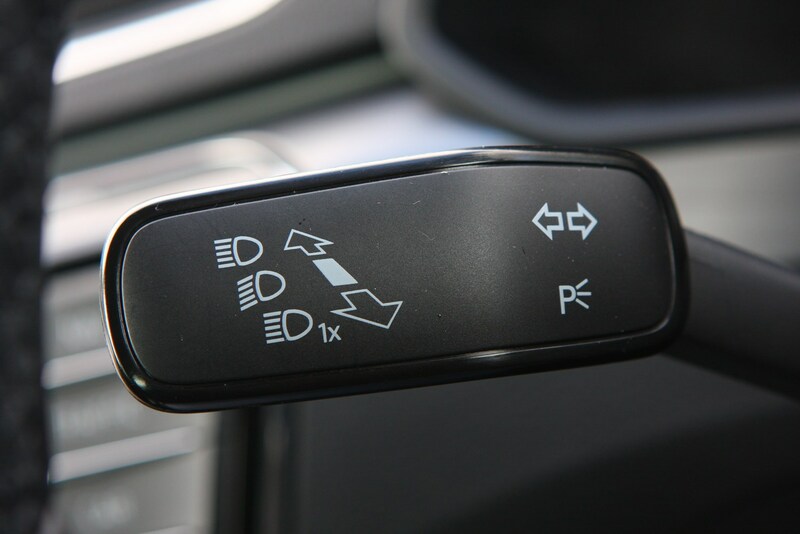 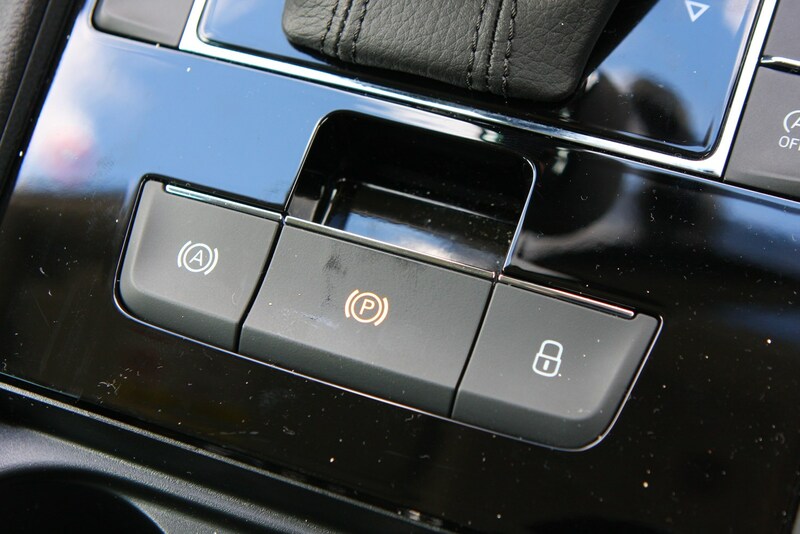 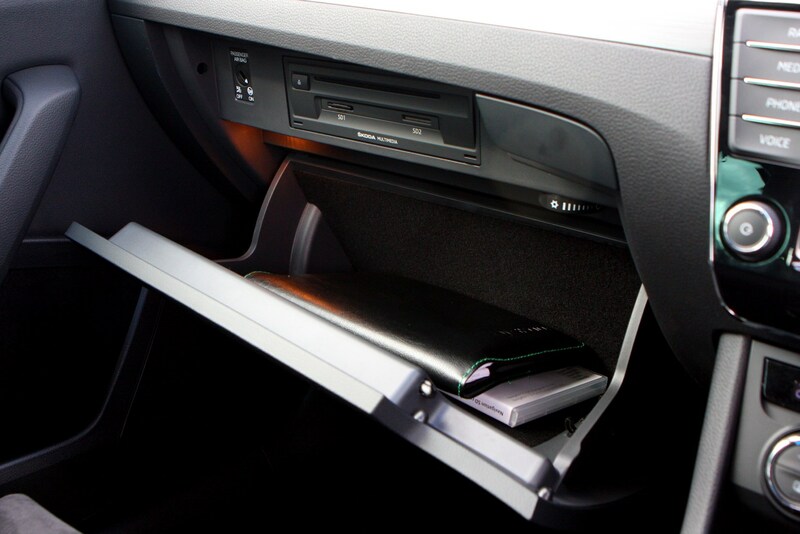 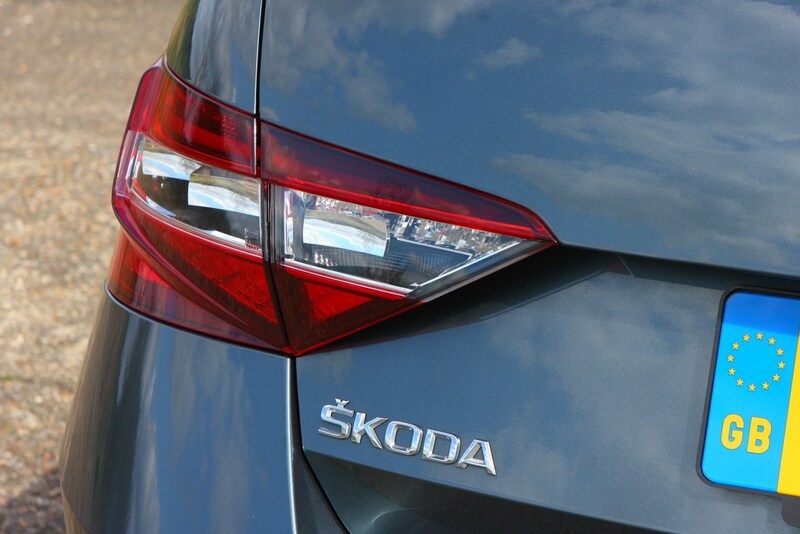 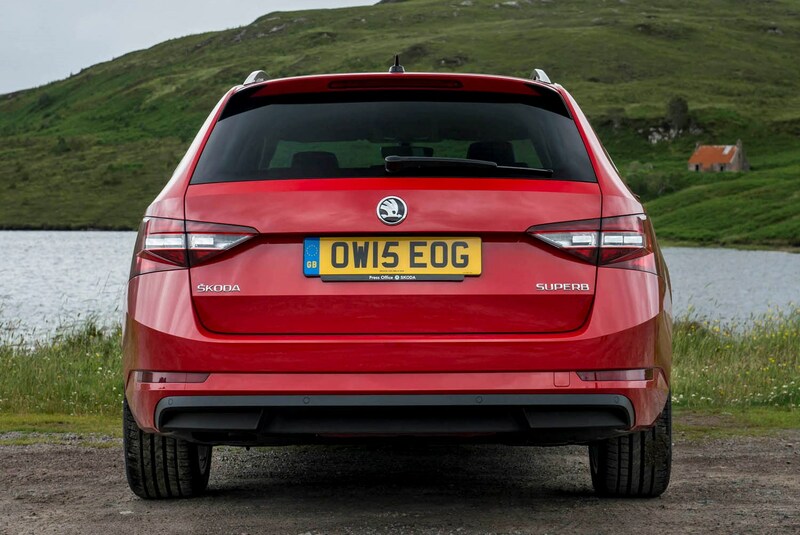 Skoda’s also ramped up the ‘Simply Clever’ features to increase the car’s practicality, including the option of an electric tailgate which can be made to open with a wiggle of the foot under the rear bumper, closing again by giving a brief pull down on the door itself. 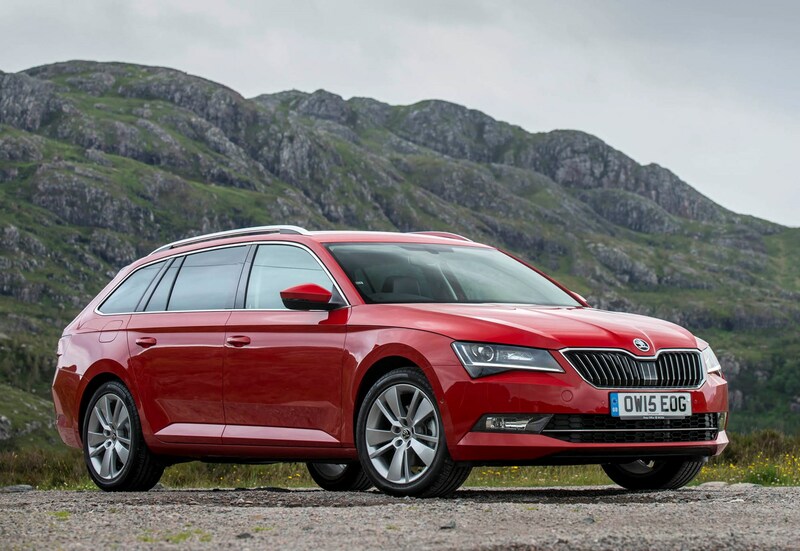 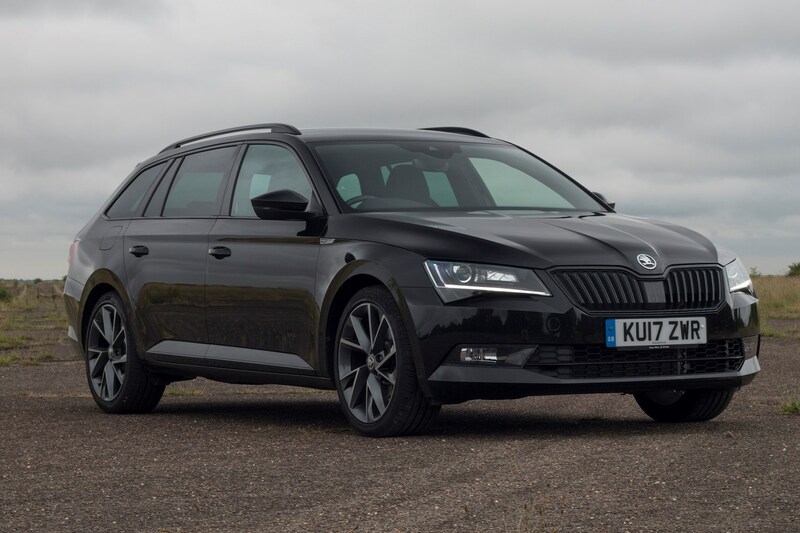 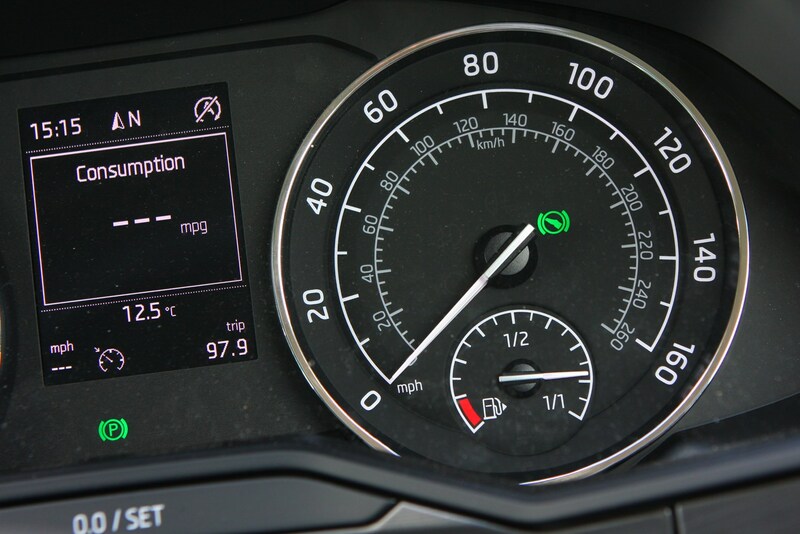 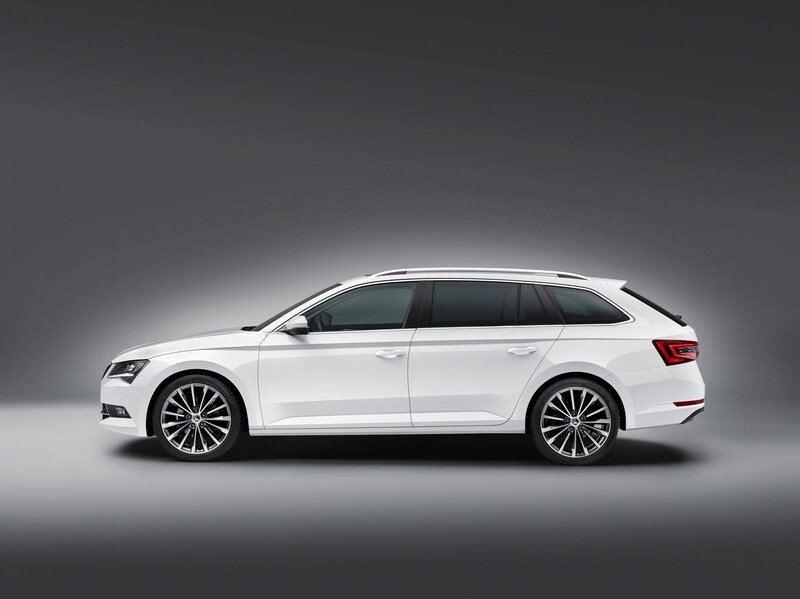 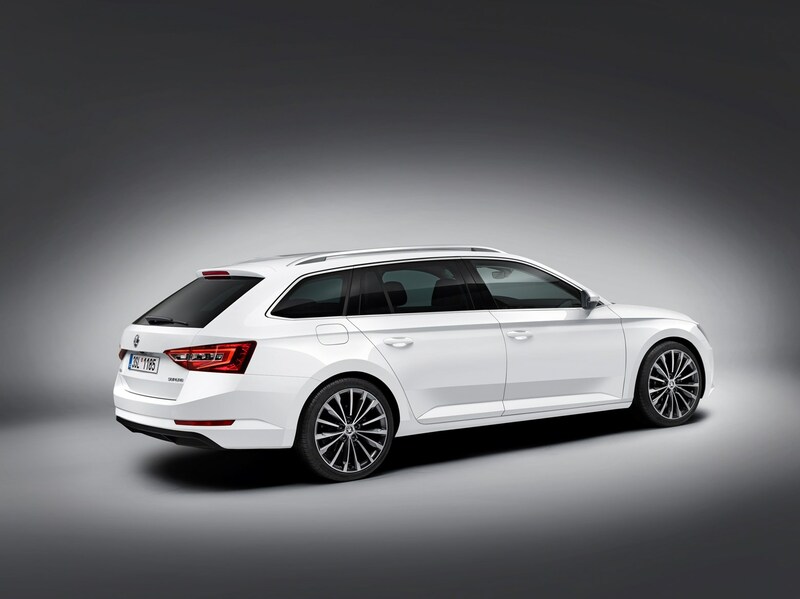 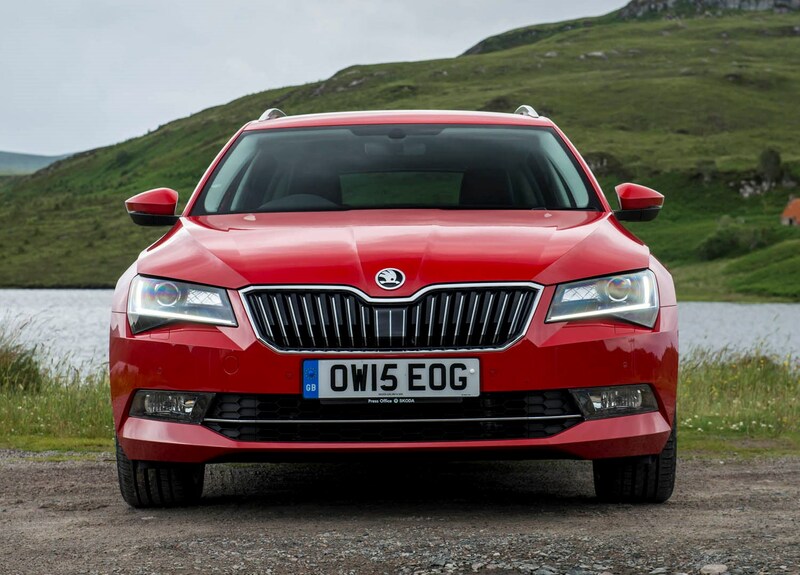 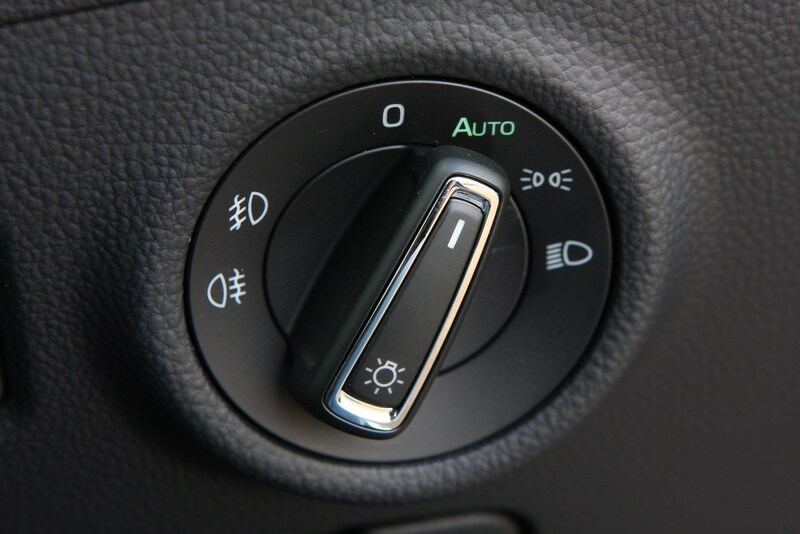 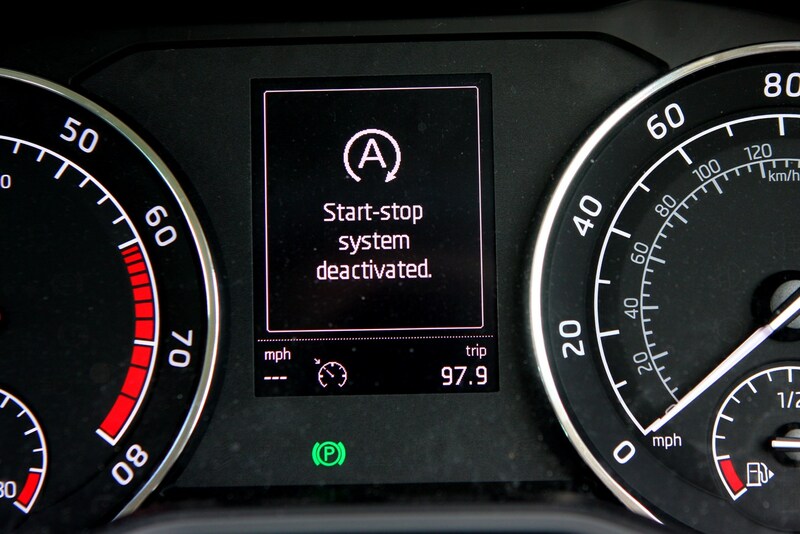 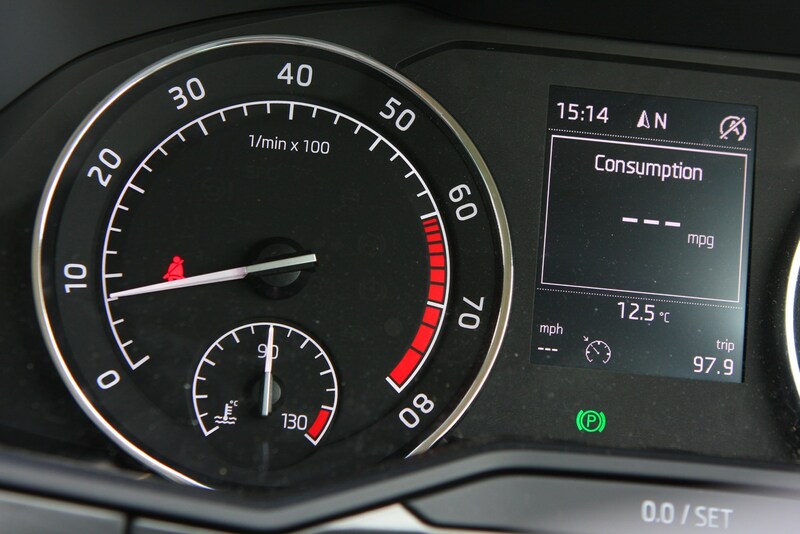 The vast majority of Skoda Superb Estate customers have opted for one of the economical diesels, particularly where maximising efficiency across higher mileages is the primary consideration. 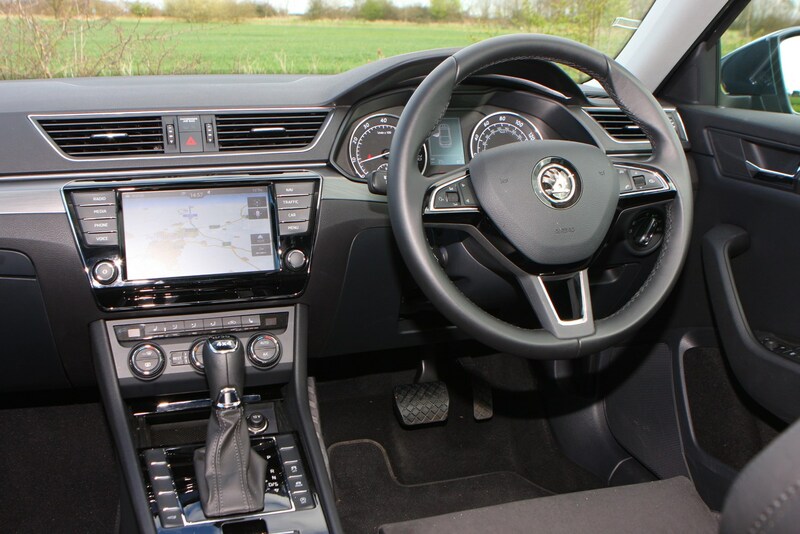 The range kicks off with a 120hp 1.6-litre TDI offering 67.3mpg or 70.6mpg when fitted with the seven-speed DSG automatic box. 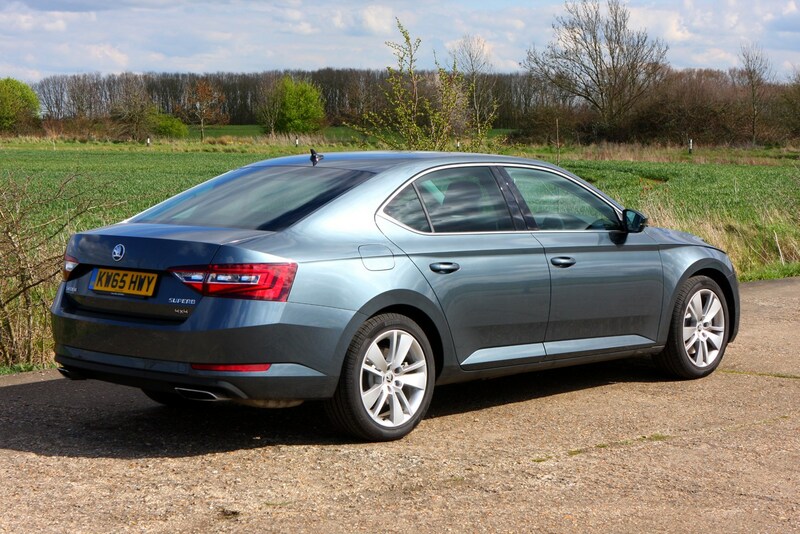 Our pick would be the 150hp 2.0-litre TDI with a claimed 68.9mpg. 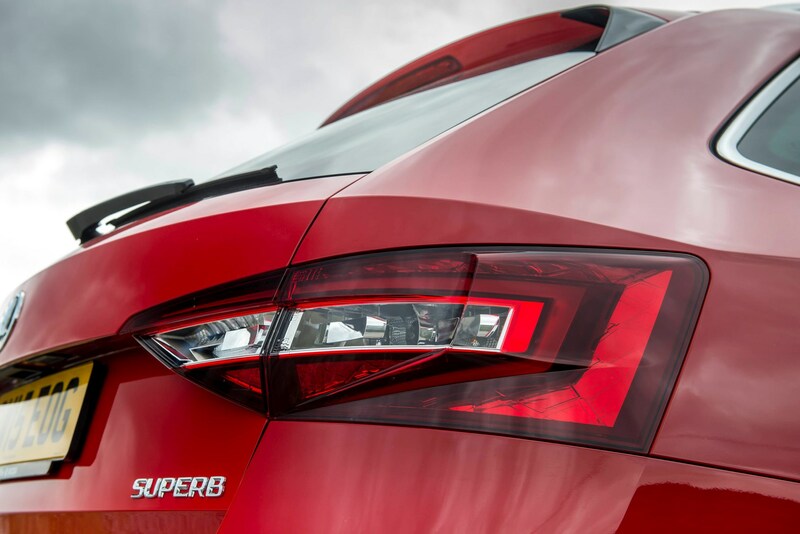 Opting for the DSG ‘box or four-wheel drive impacts a little on efficiency, as does plumping for the more powerful 190hp edition of the engine. 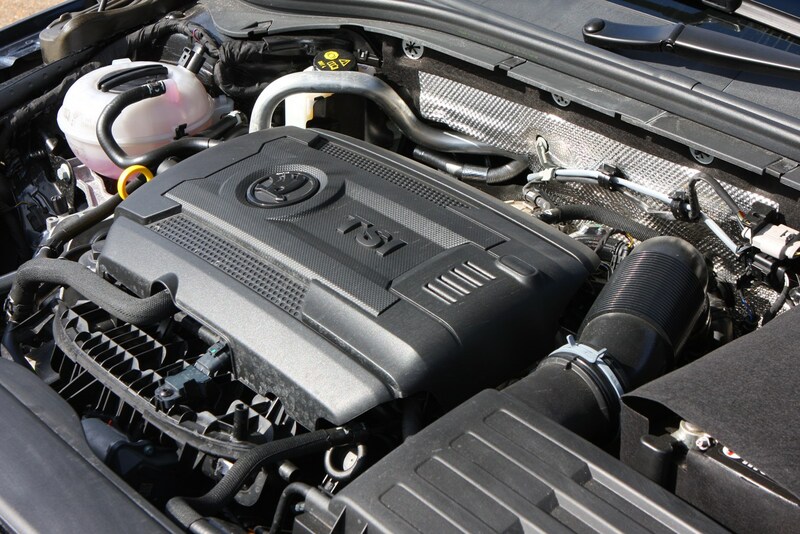 Those looking for petrol power have a refreshingly wide range of choices: the entry level 1.4-litre TSI is available in 125hp and 150hp guises, the latter of which is more efficient at 55.4mpg whether in manual or DSG format. 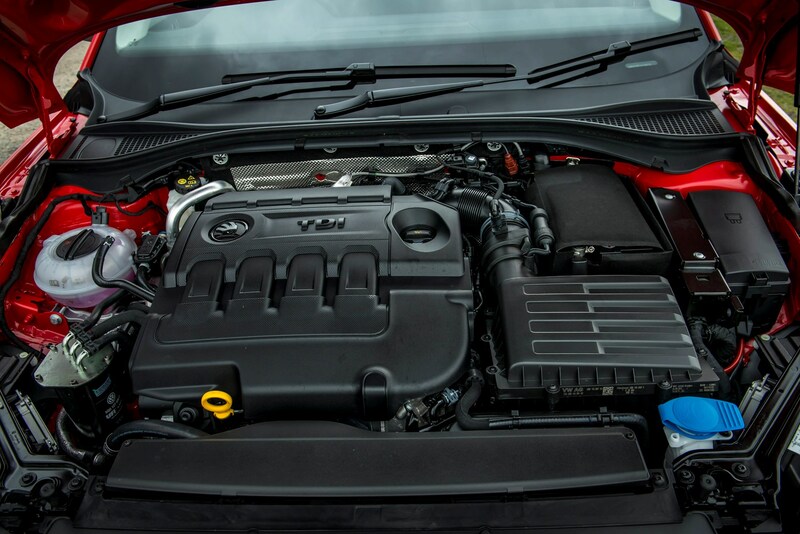 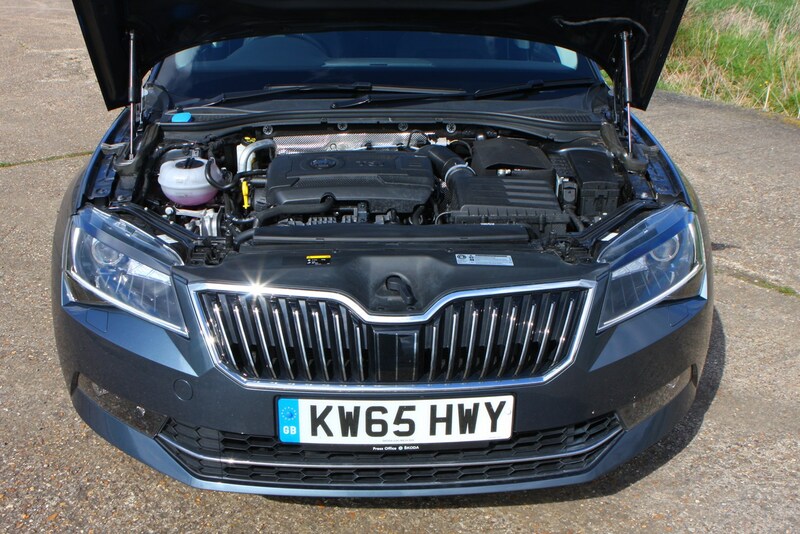 We're expecting this engine to be superseded by the 1.5-litre TSI Evo power unit, which has already been rolled out across the Skoda Octavia range. 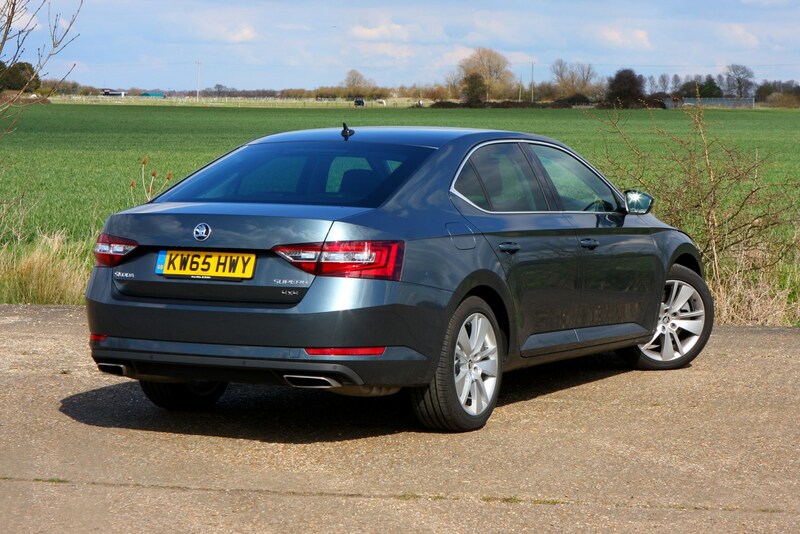 It is more refined and efficient than the 1.4-litre – and is capable of offering diesel-rivalling fuel consumption wen driven gently. 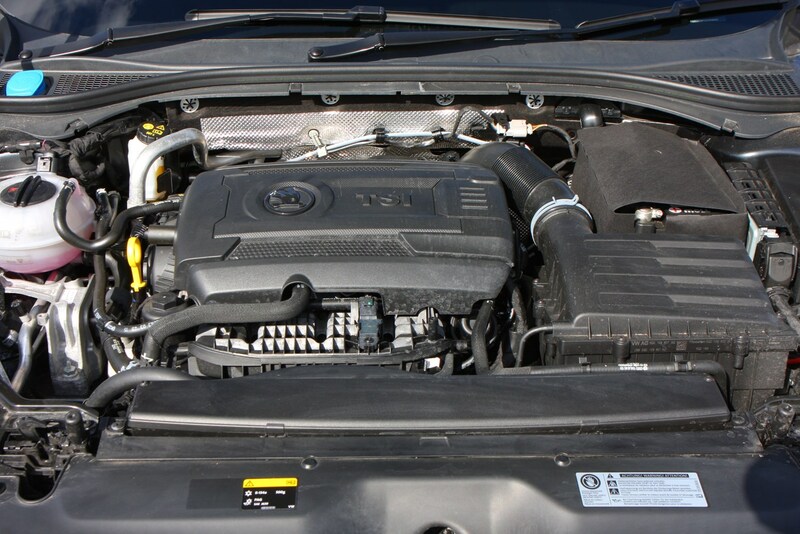 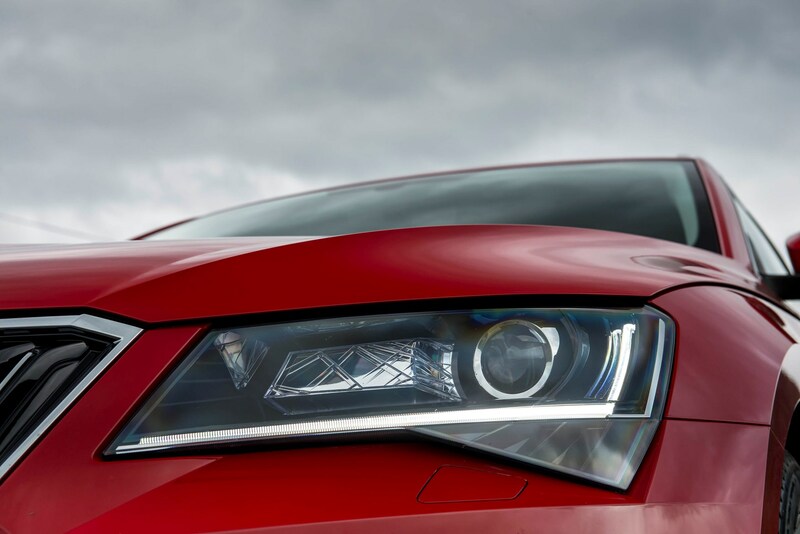 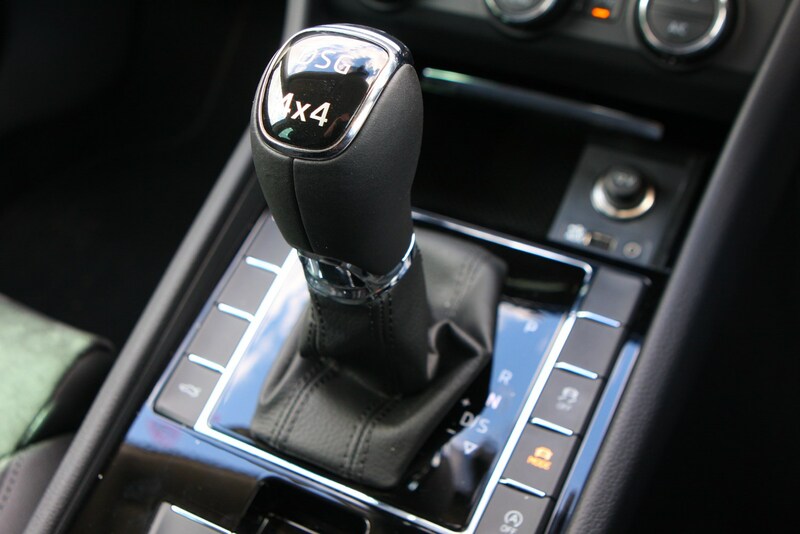 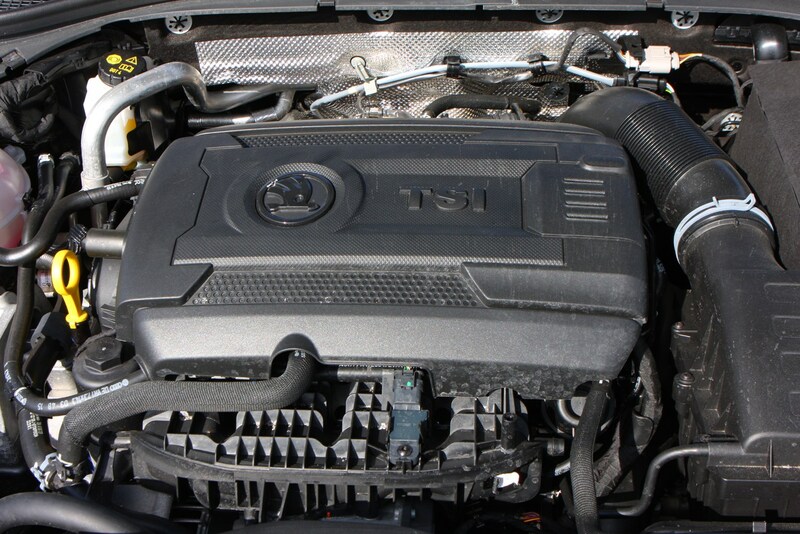 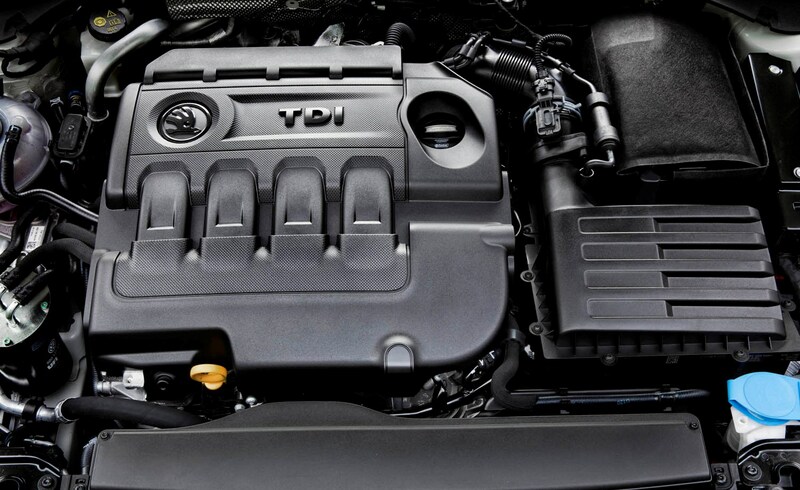 Both of the 2.0-litre TSI variants – 220hp and 272hp – are exclusively fitted with the DSG transmission. 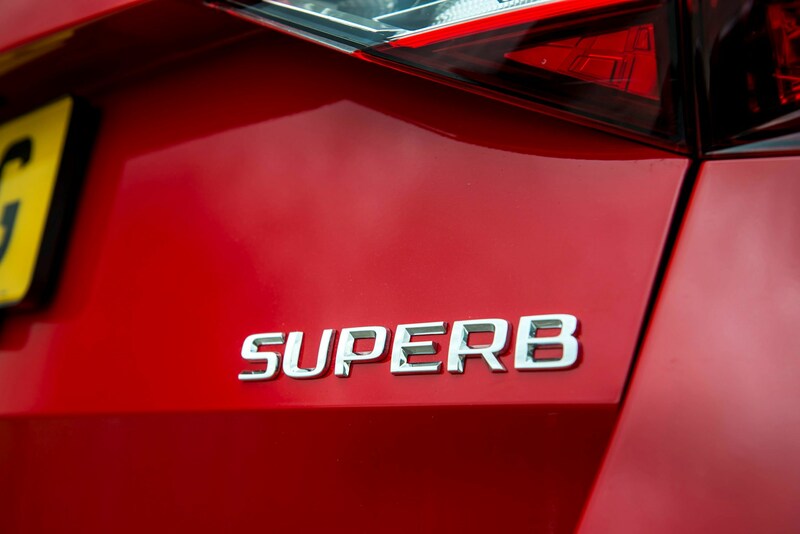 While performance is impressive, the more powerful edition will sprint from 0-62mph in just 5.8 seconds, it’s unlikely to match its reasonable claimed fuel economy of 39.2mpg. 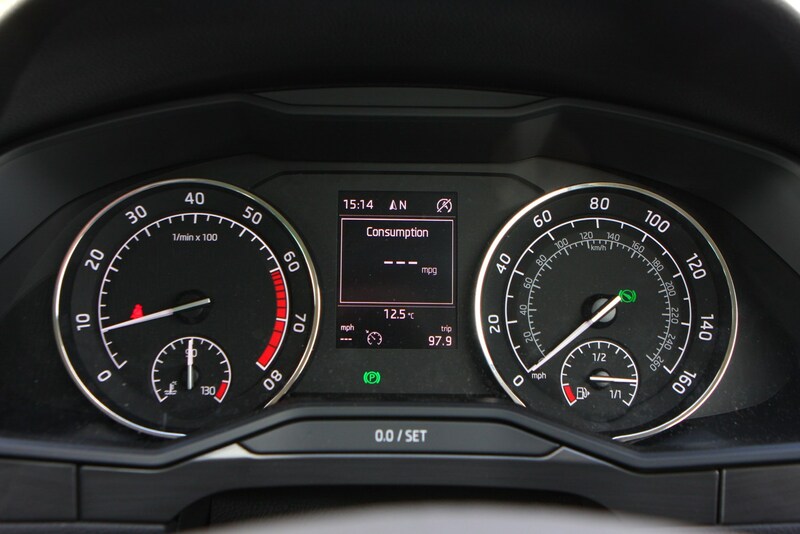 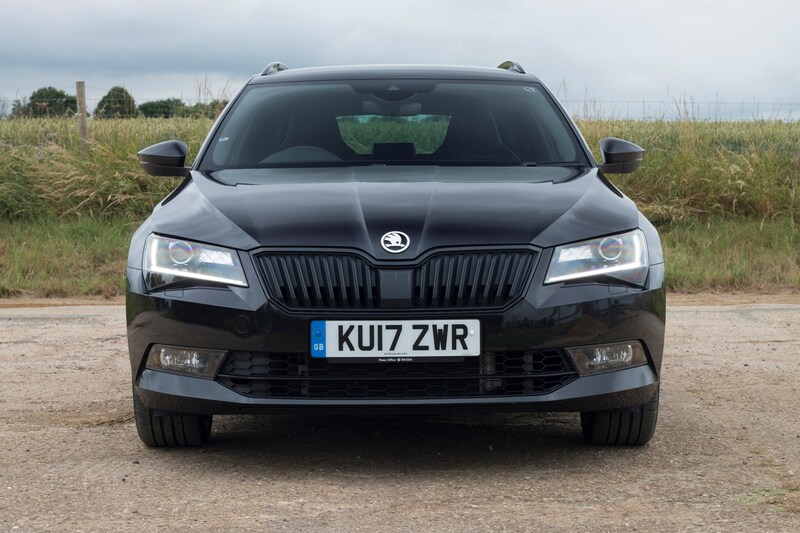 We ran a 280hp 4x4 (pre-2019 model) Skoda Superb Sportline as a long-termer, and that averaged just a little more than 31mpg, which is a good result considering the performance available. 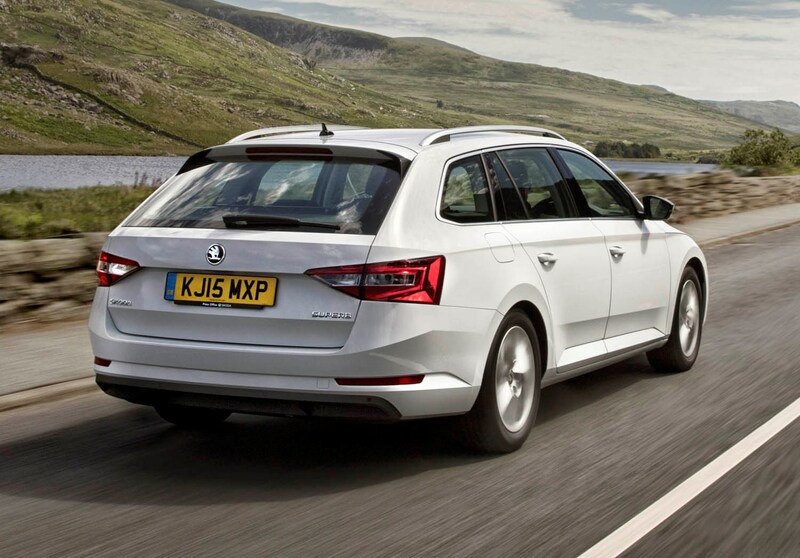 Should you buy a Skoda Superb Estate? 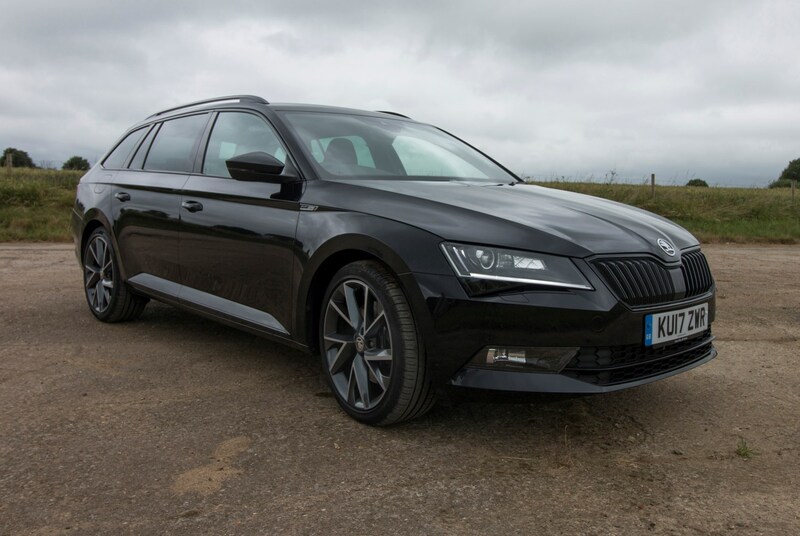 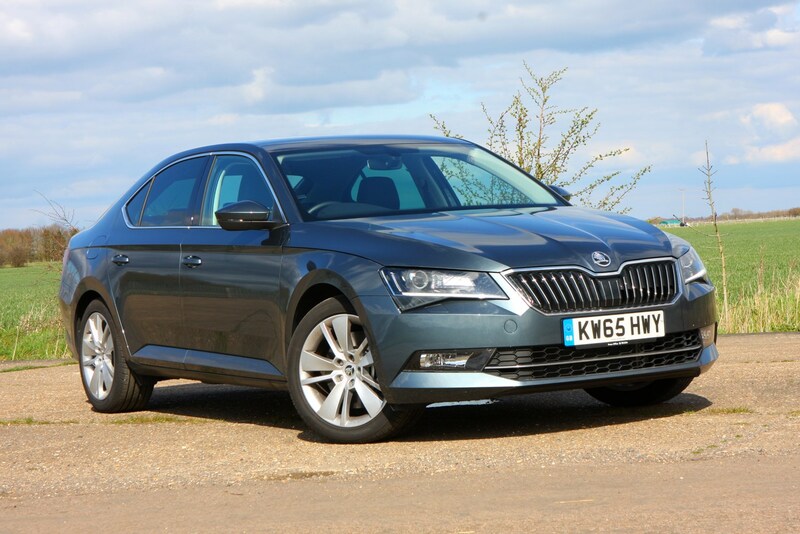 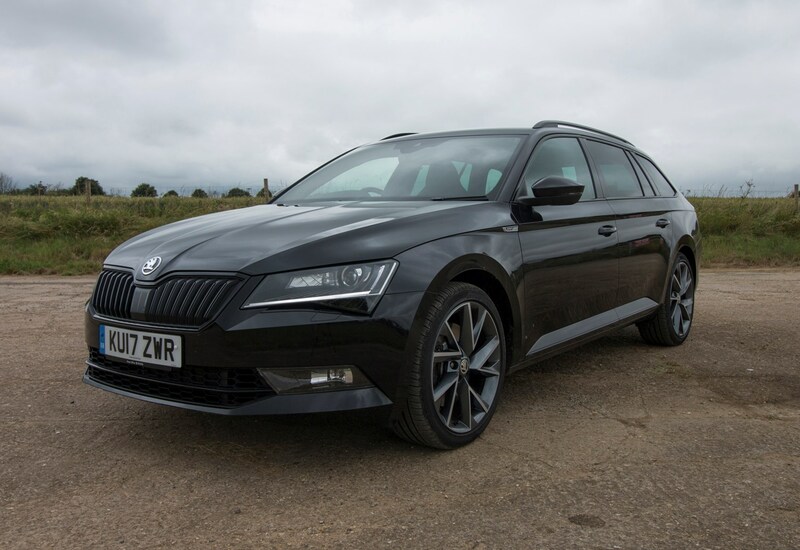 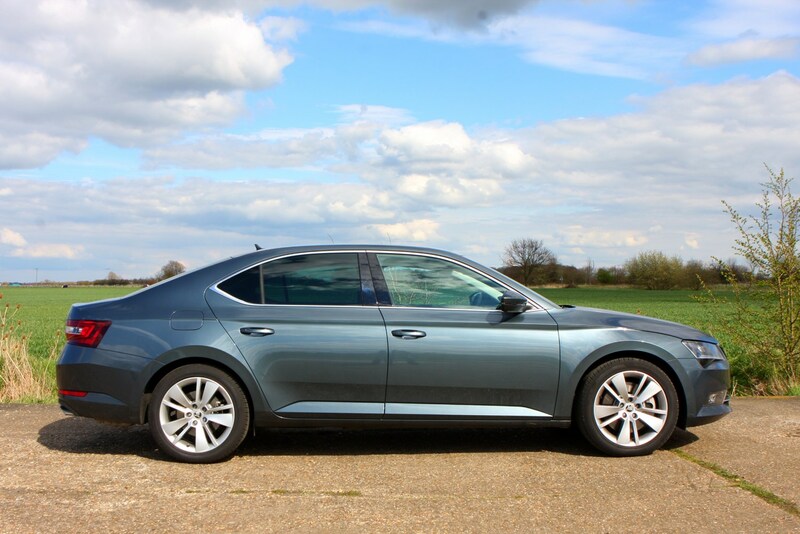 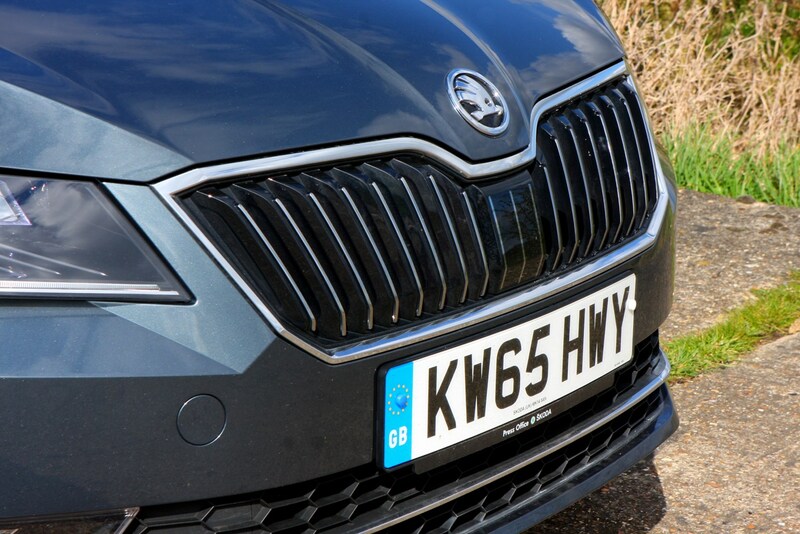 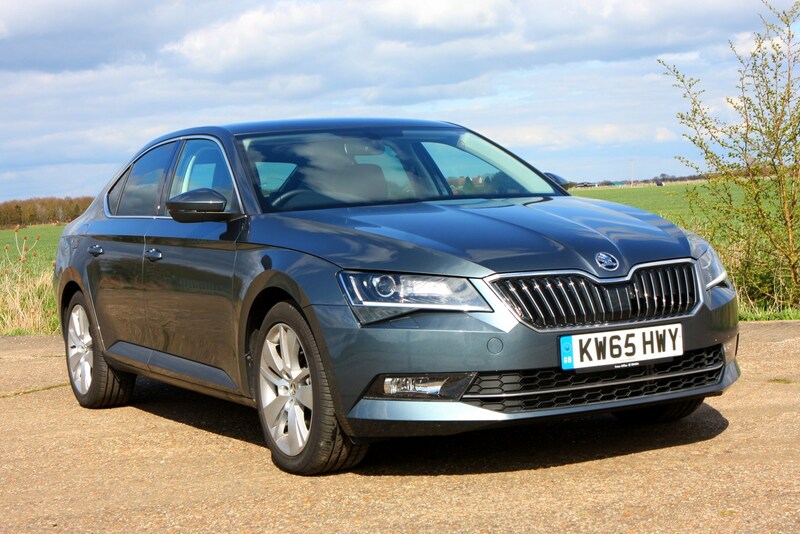 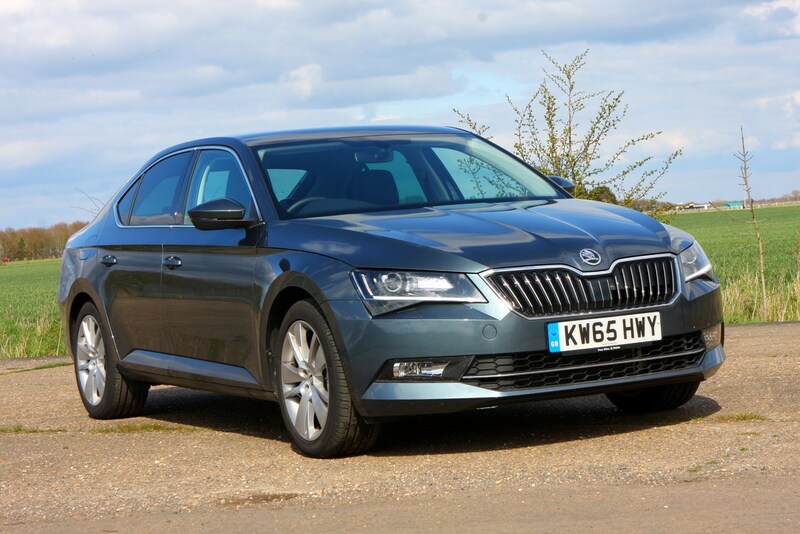 Describing the Skoda Superb estate as cheap would be misleading, but it does offer great value for money compared with its rivals, whether you’re considering the amount of metal your cash buys, or the level of equipment on offer. 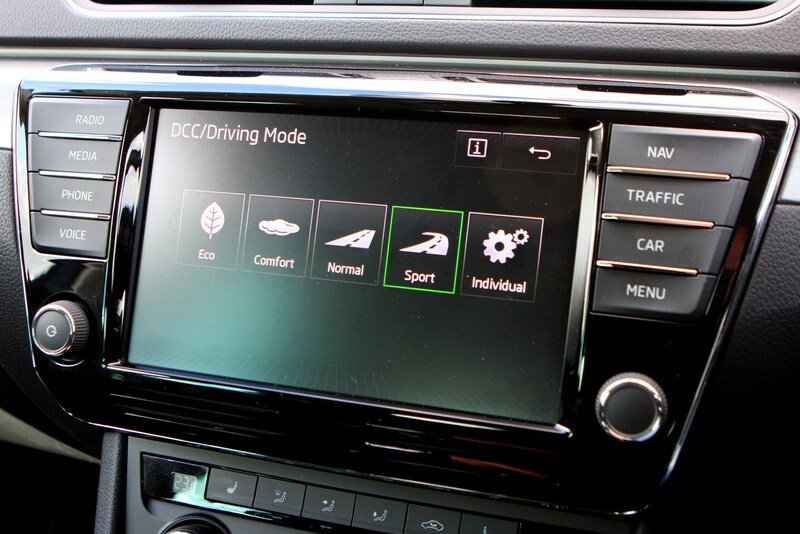 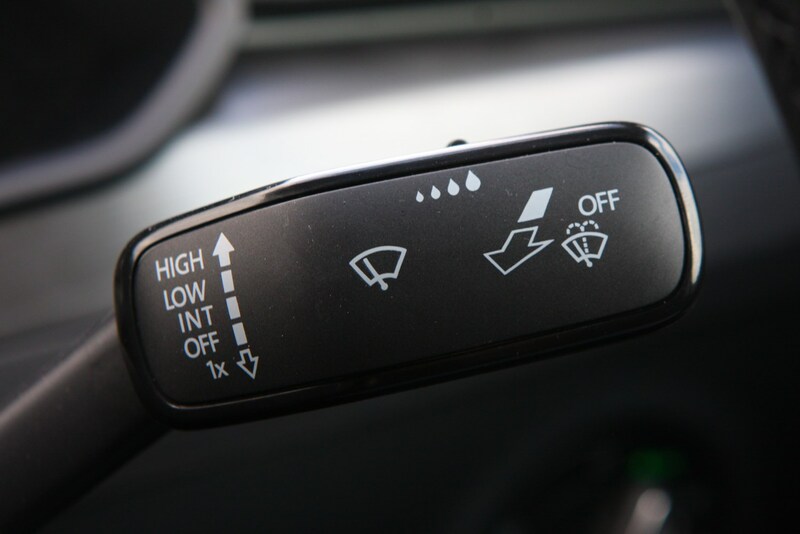 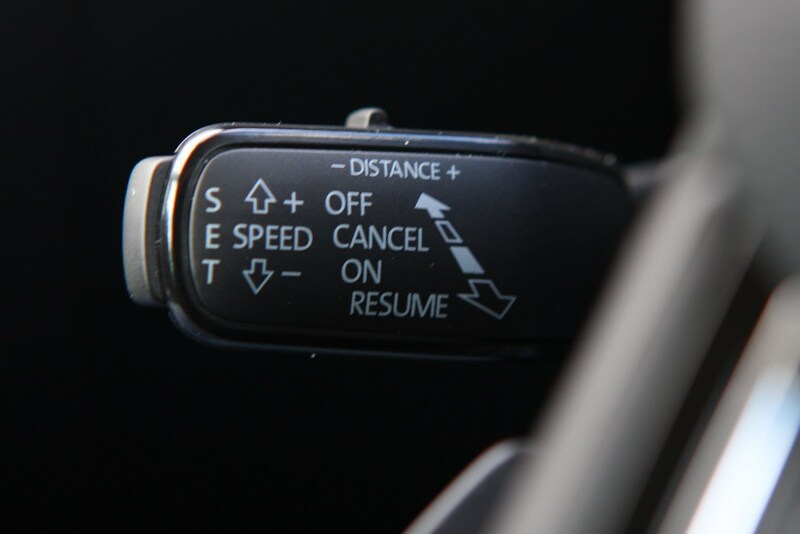 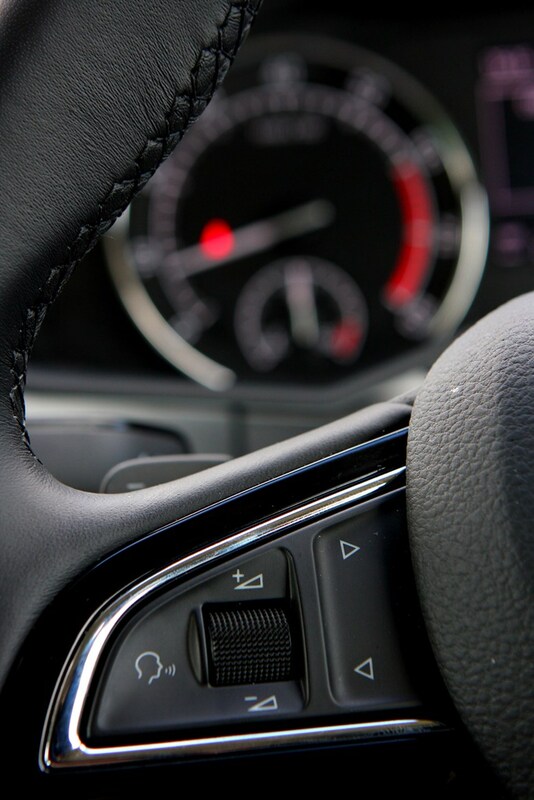 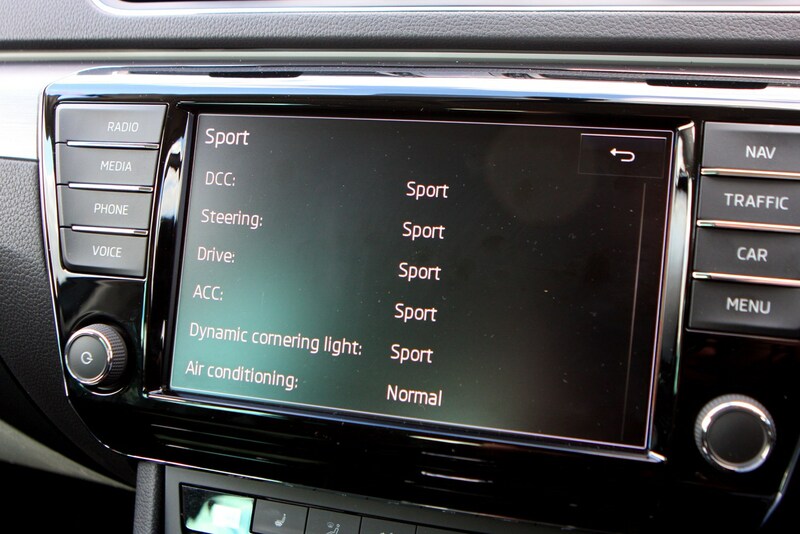 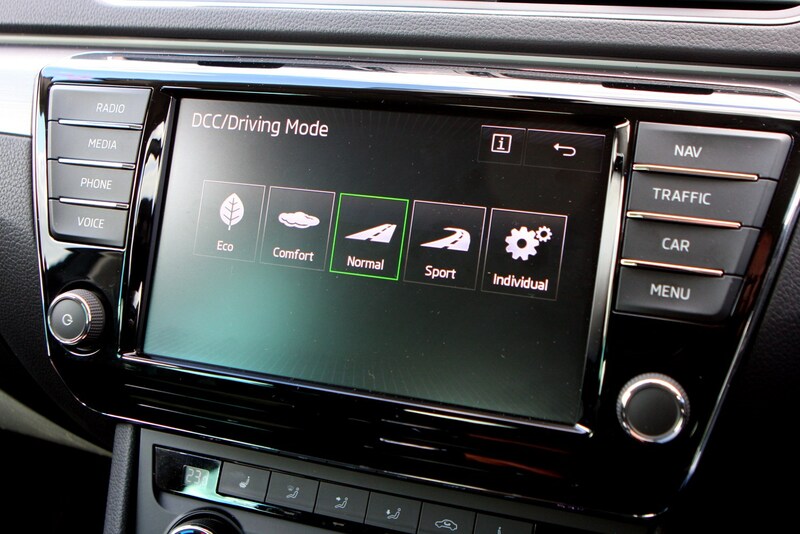 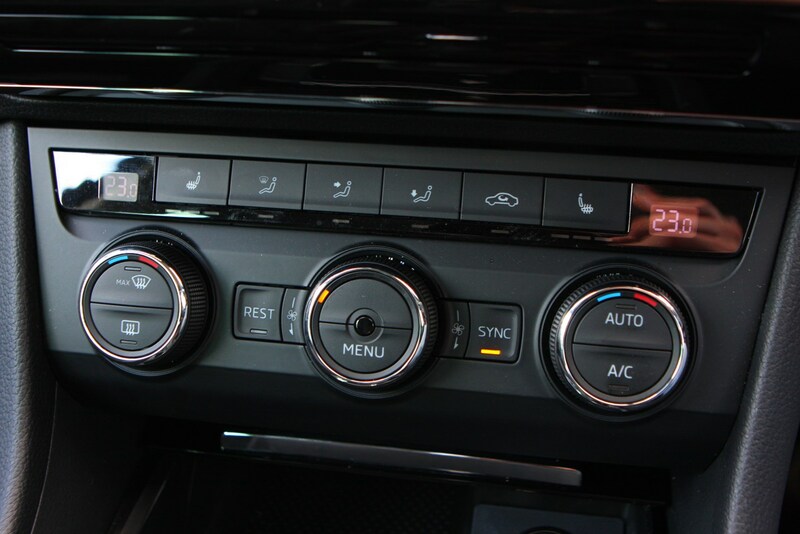 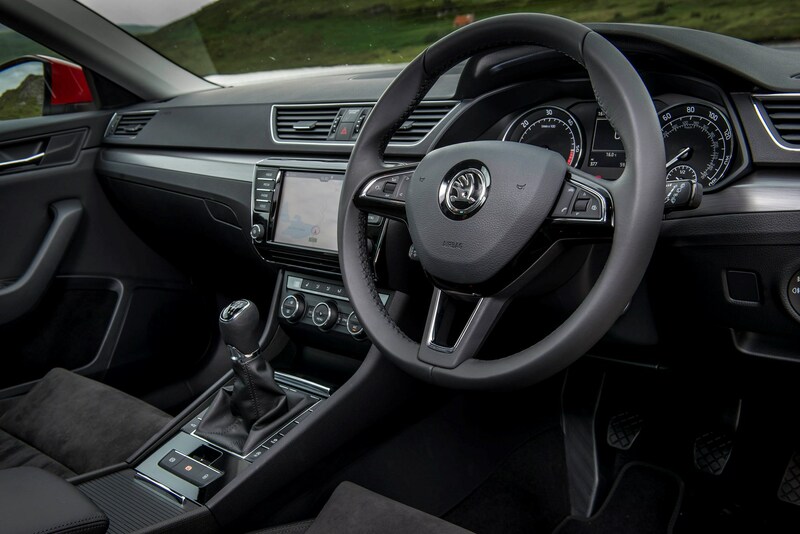 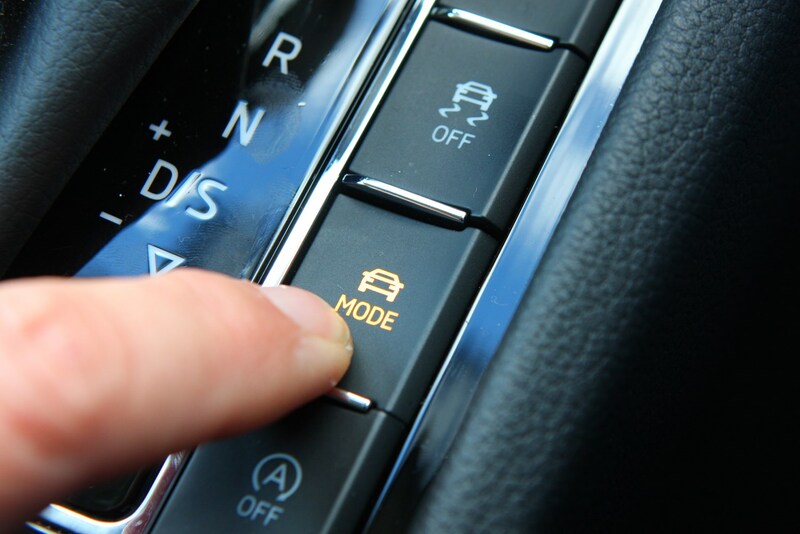 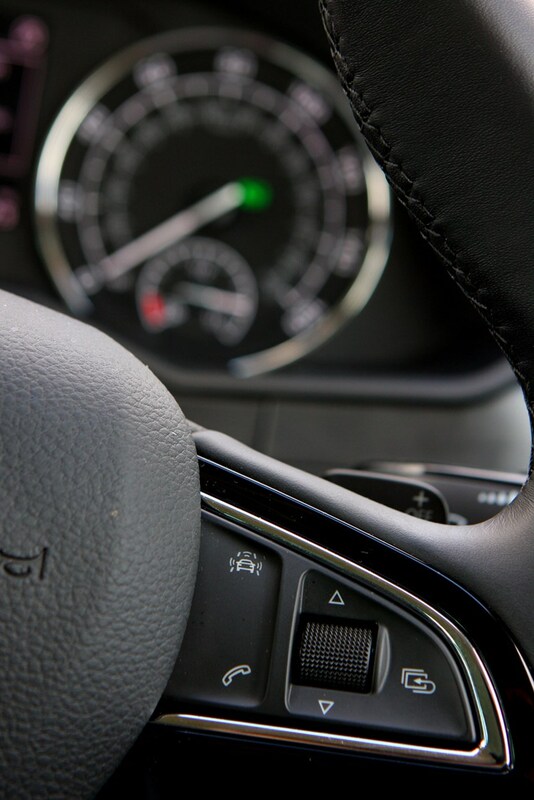 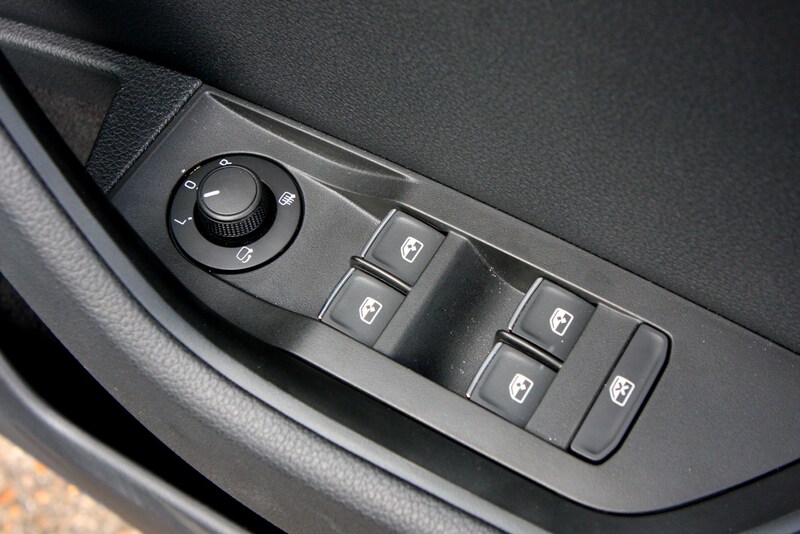 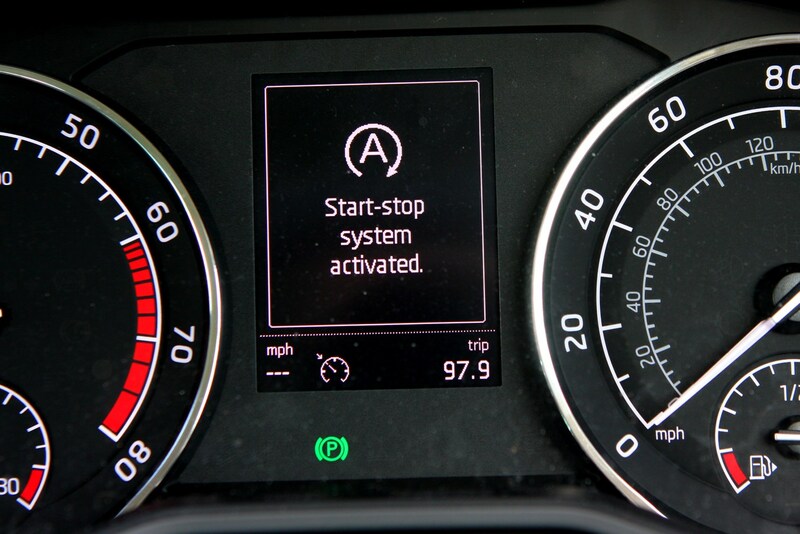 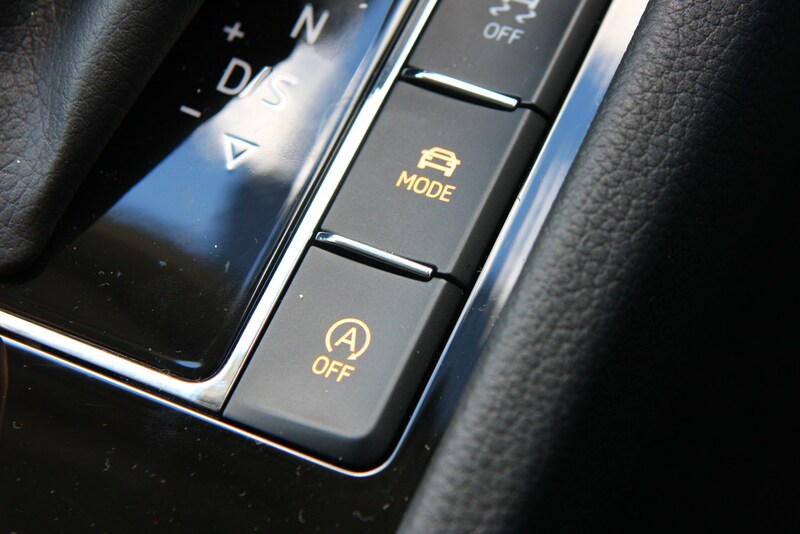 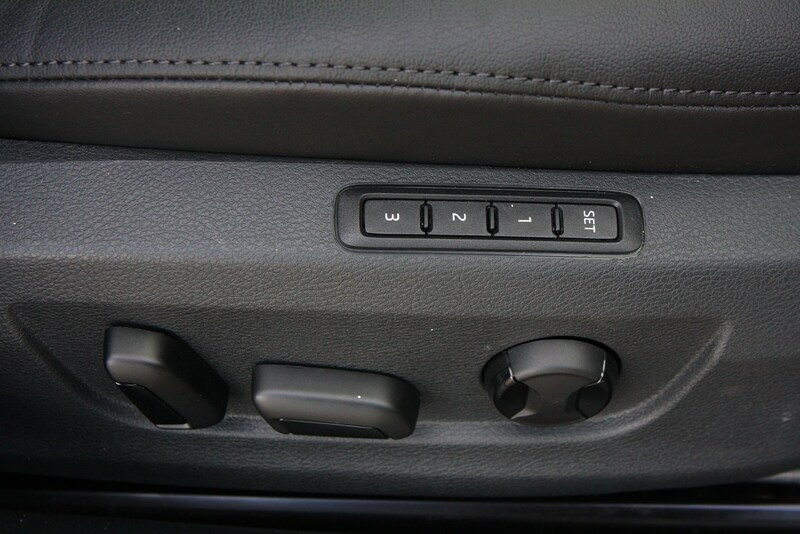 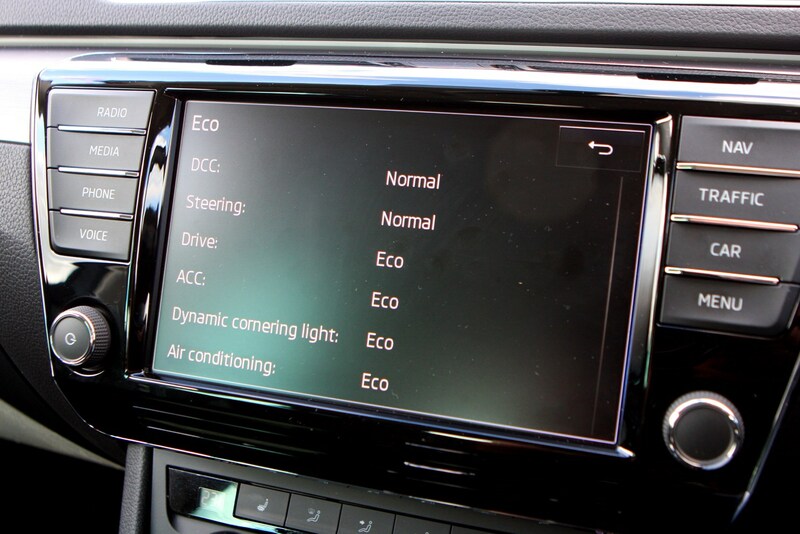 Eight trims levels are offered, with all Superbs featuring alloy wheels, multi-function buttons on the leather-wrapped steering wheel, an electric parking brake, Bluetooth connectivity, up-to-the-minute infotainment and stop/start for the engine. 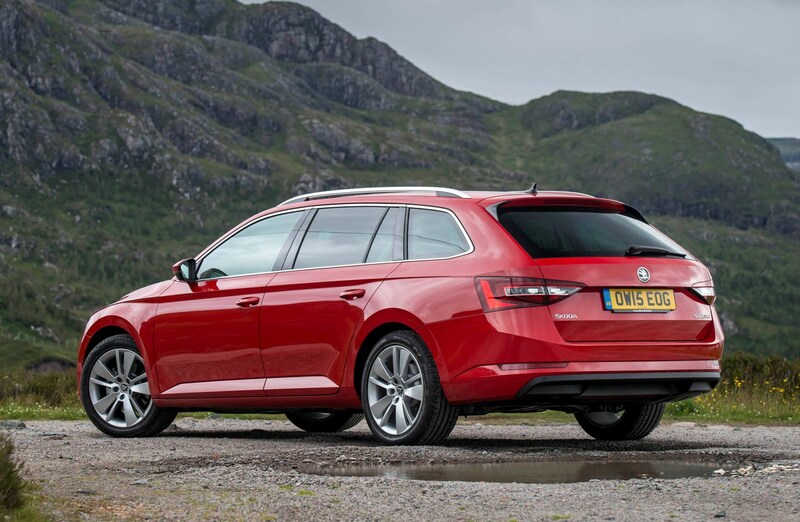 Overall, a front-running family estate car combining space, pace and decent value, especially on Skoda's competitive monthly PCP finance as well as decent personal leasing deals. 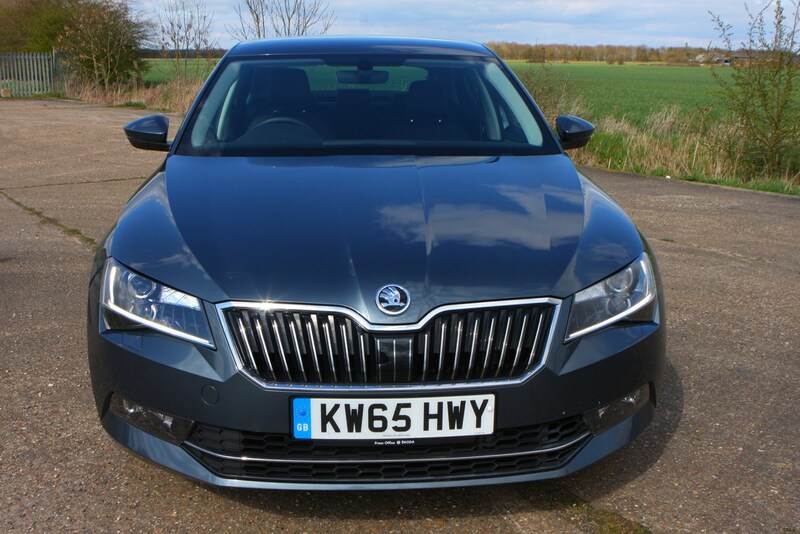 Compared with its immediate rivals, such as the Mondeo and Insignia, it's still the one to have in this class – and it's good enough for those looking for a good value alternative to premium offerings from BMW and Mercedes-Benz. 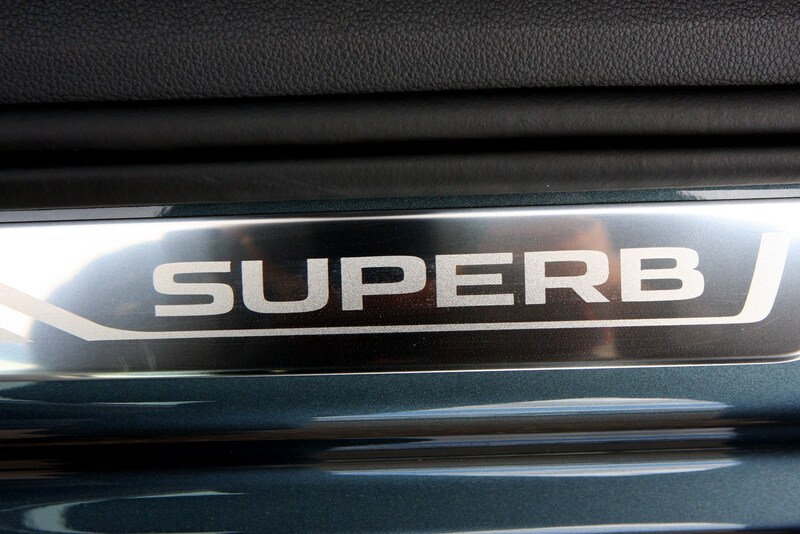 Praise indeed. 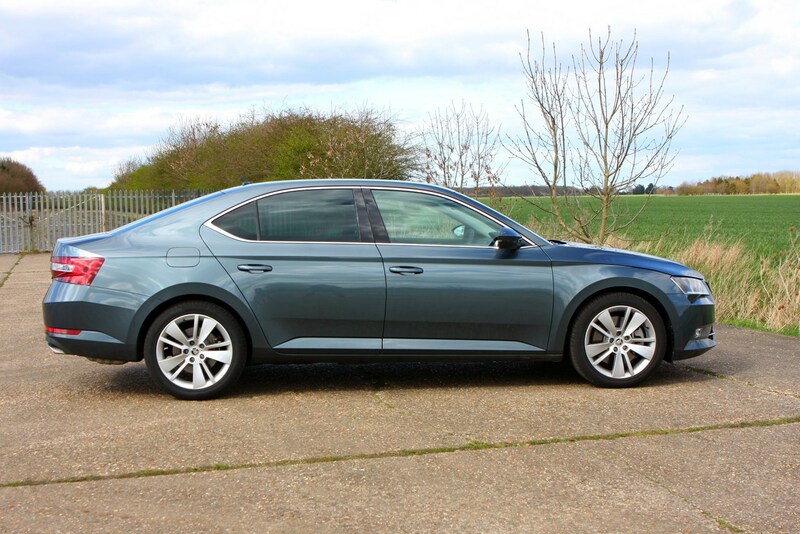 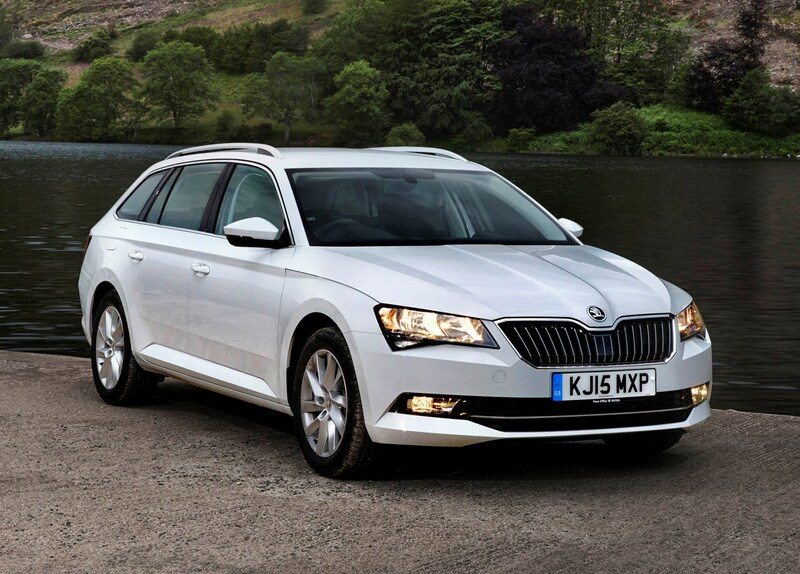 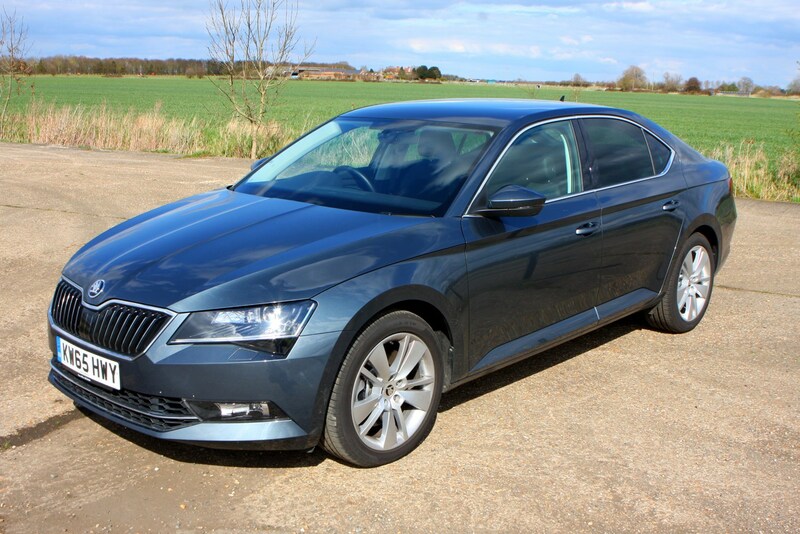 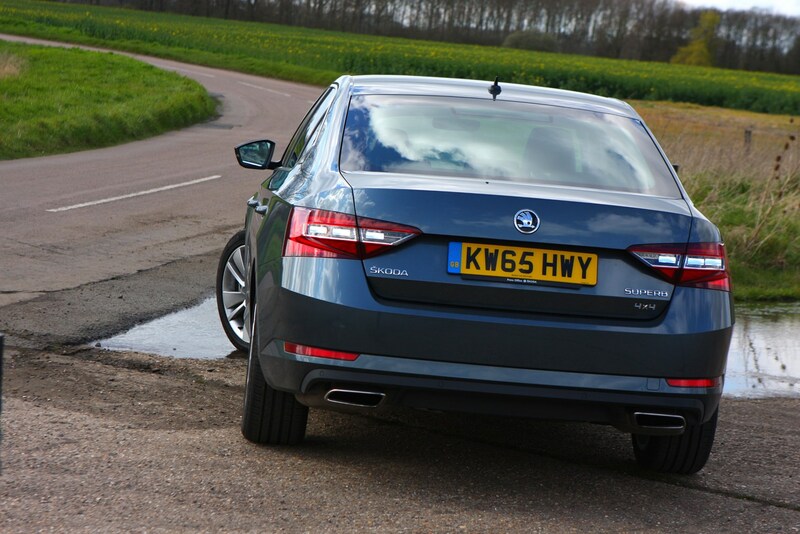 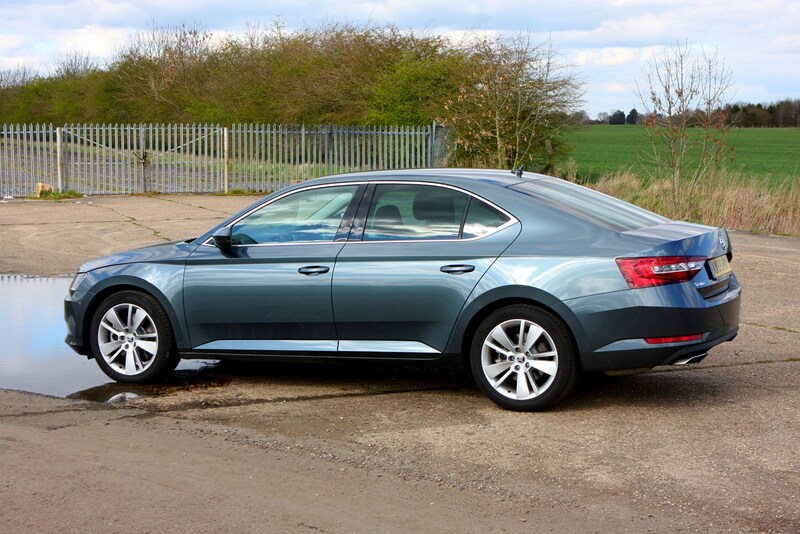 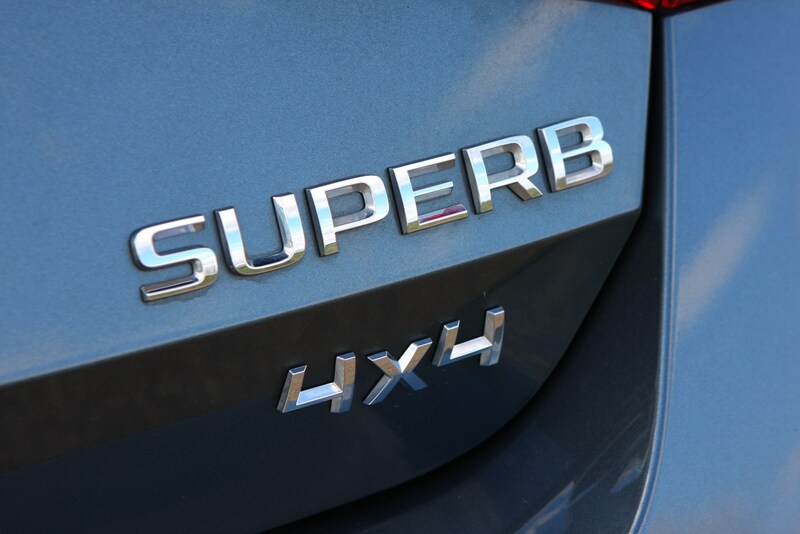 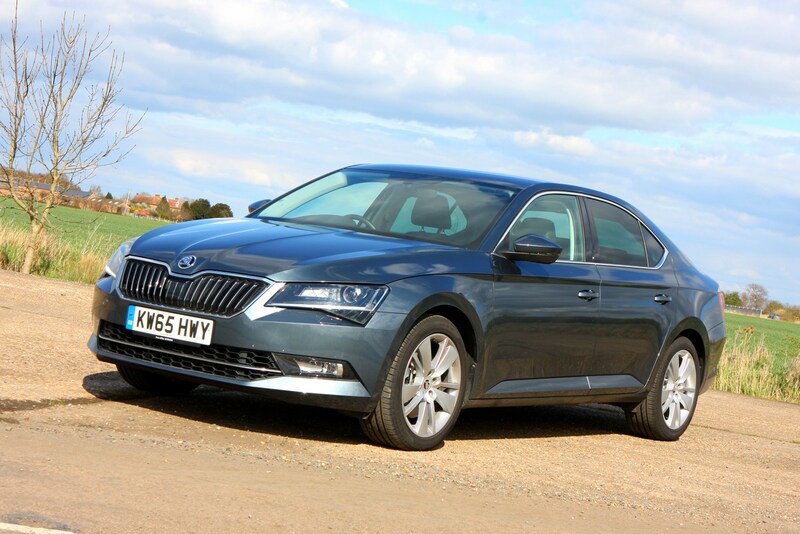 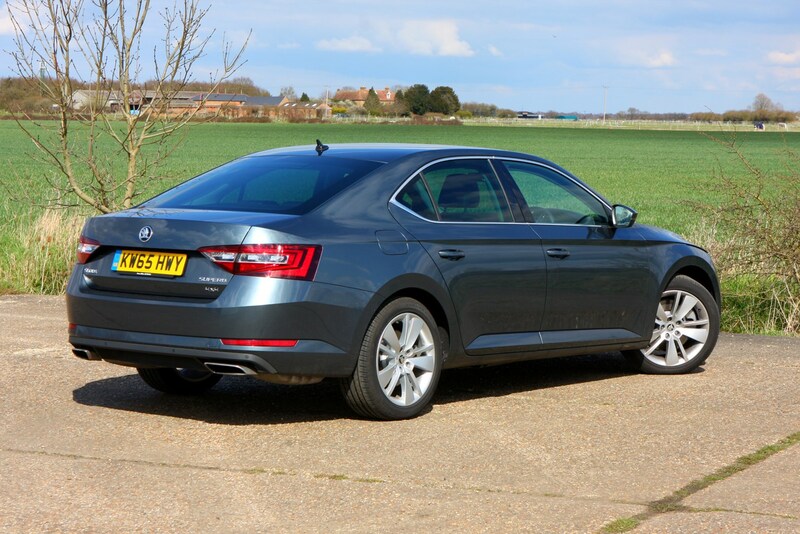 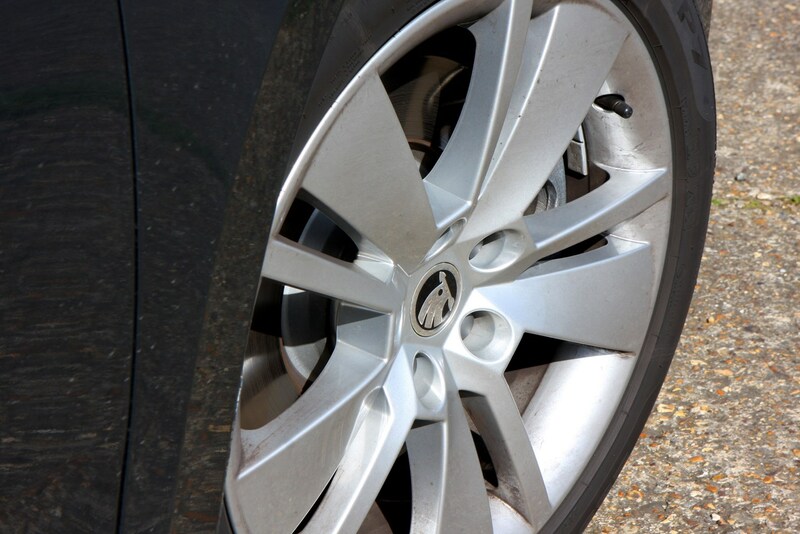 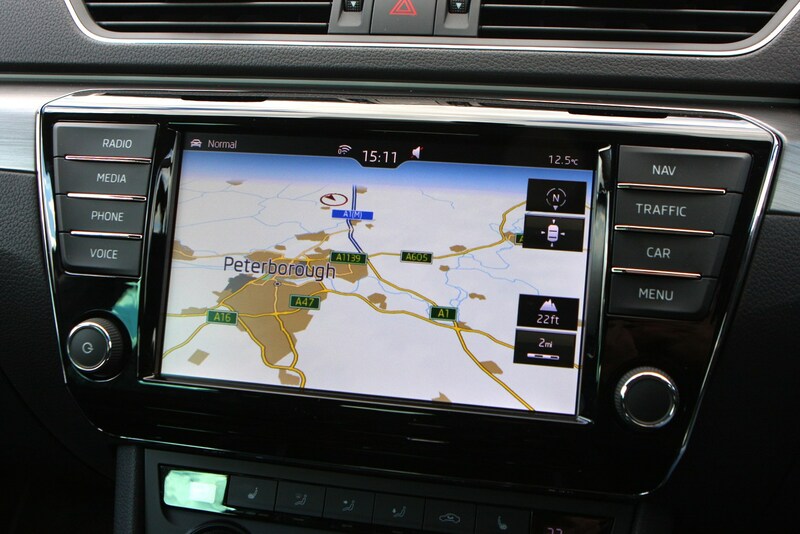 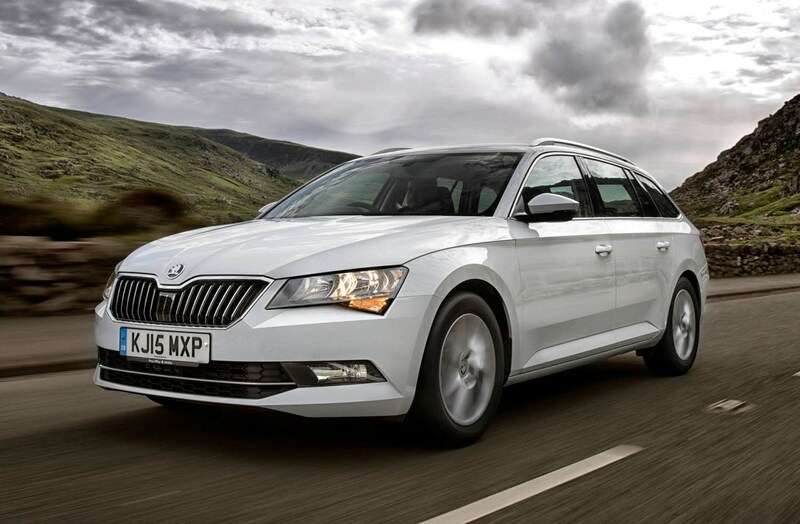 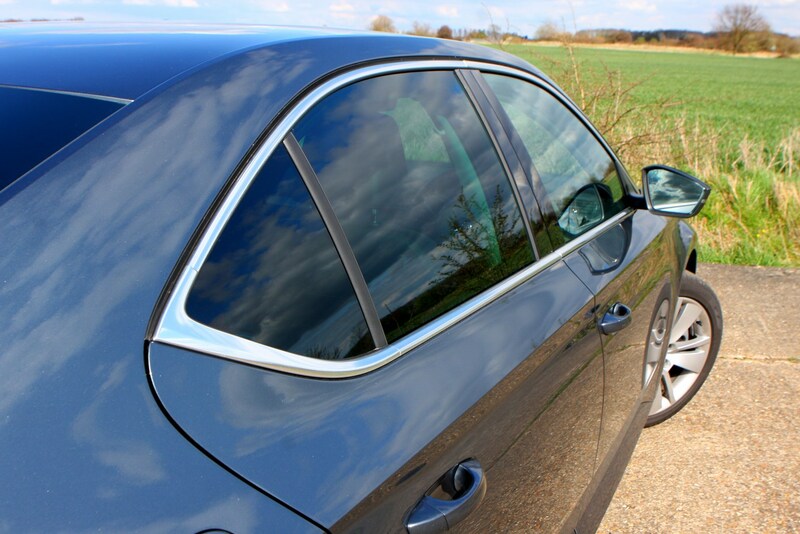 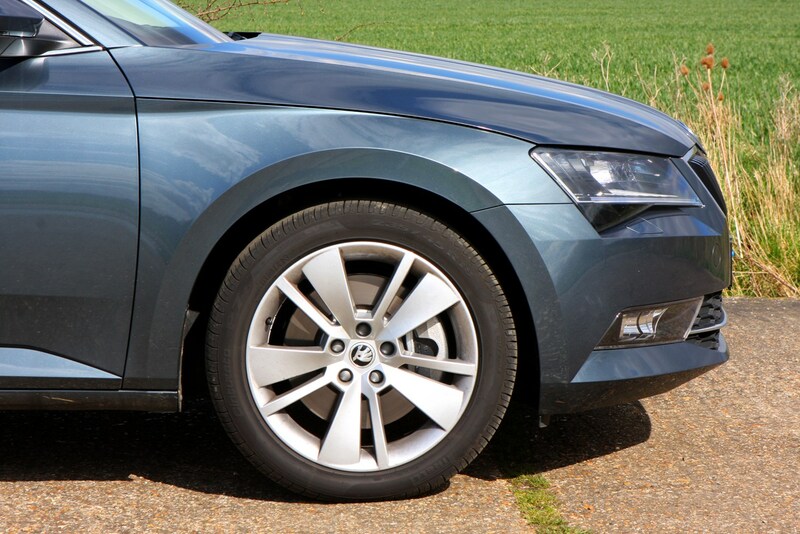 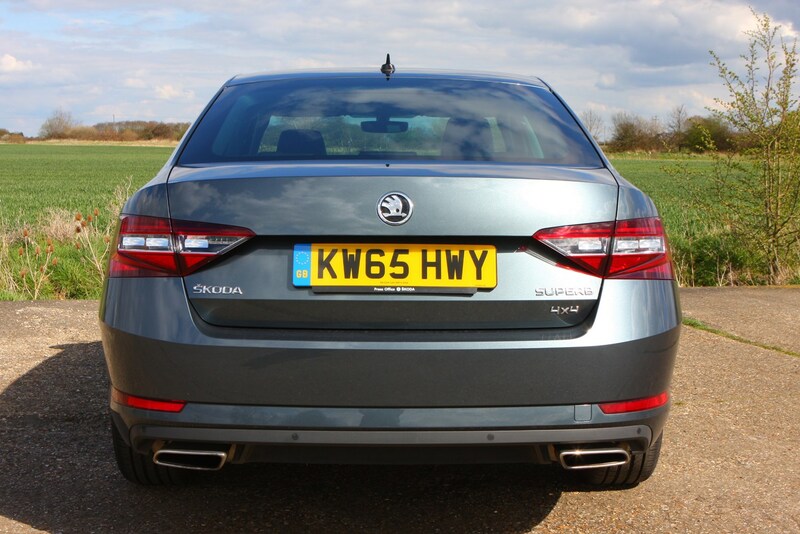 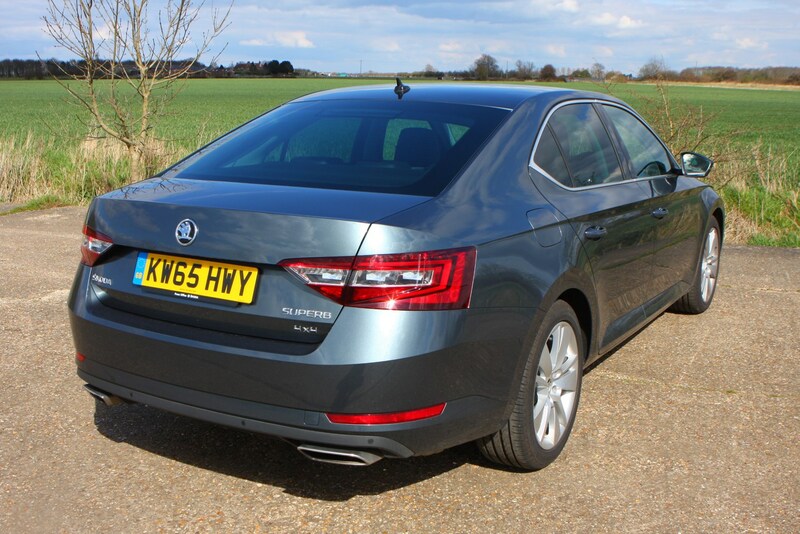 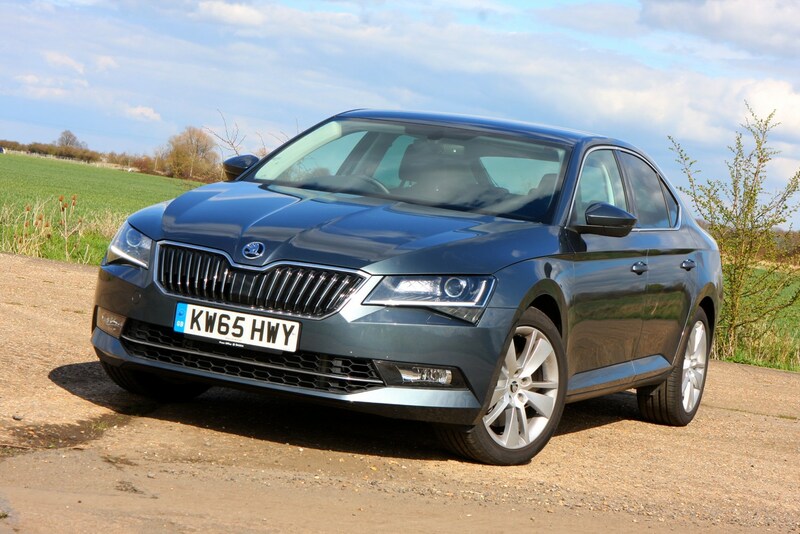 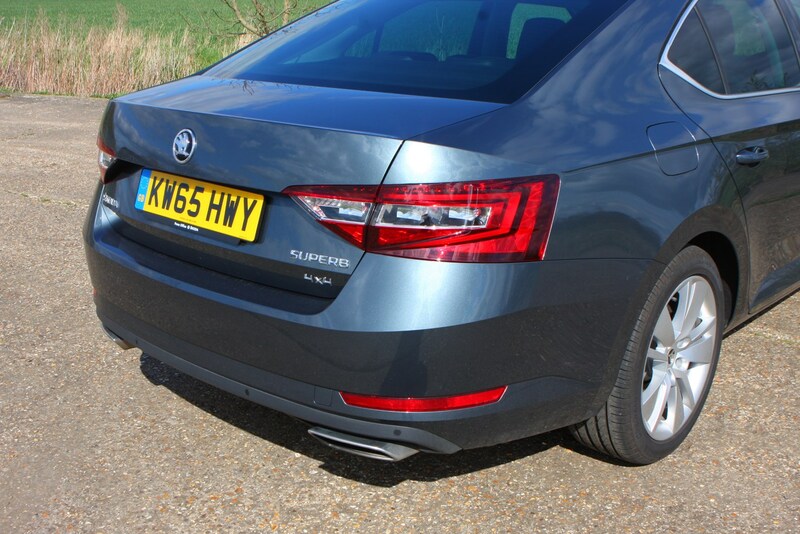 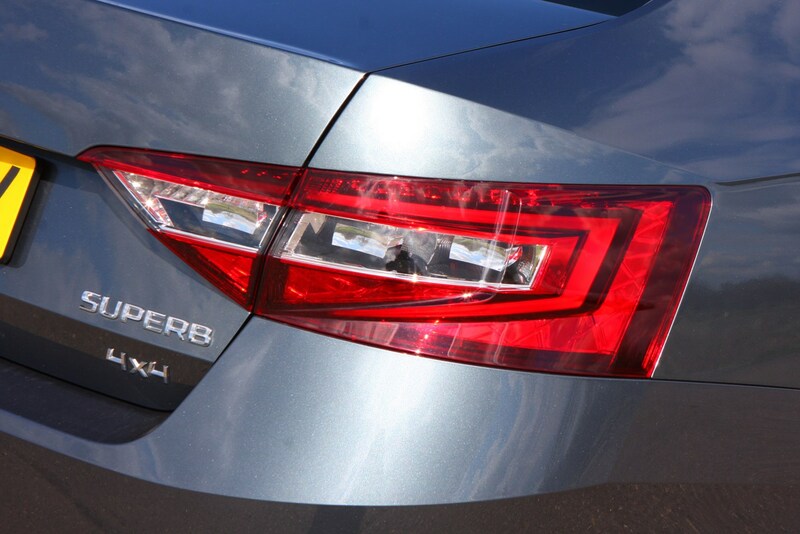 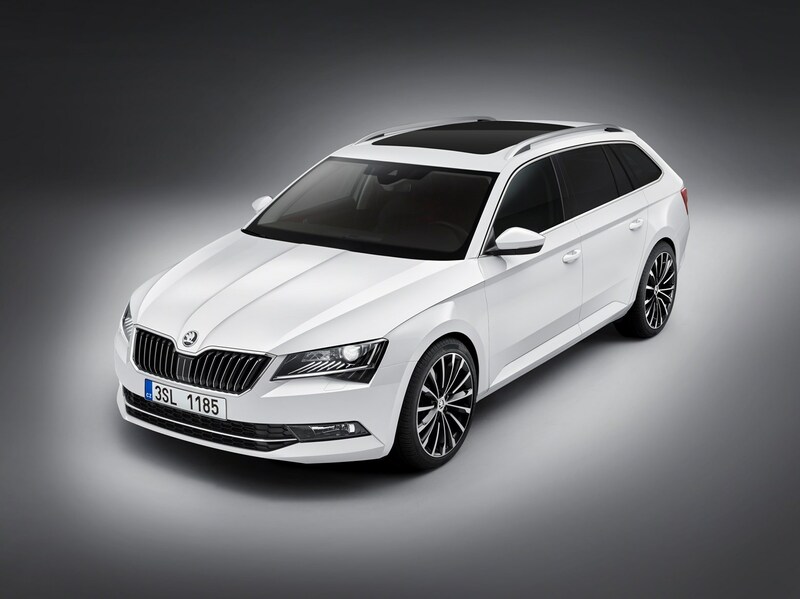 Did you know the most popular review for the Superb range is the Skoda Superb Hatchback review.